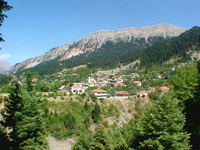 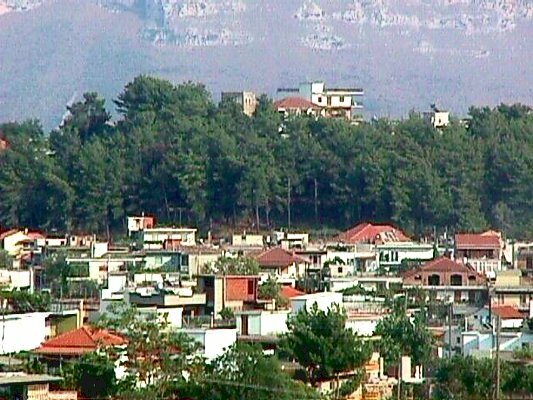 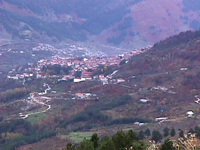 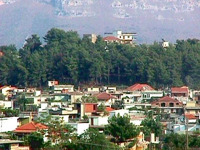 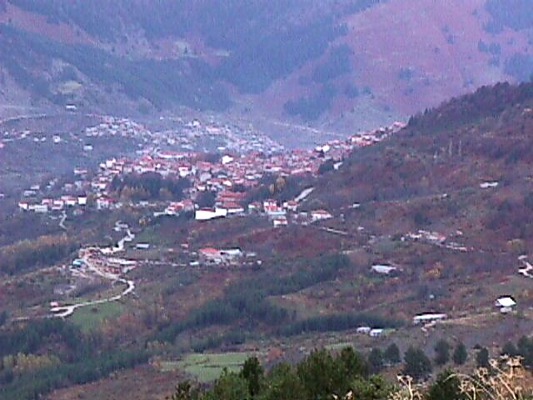 The town of Filiates is built on a forest of pine trees. It is located at a distance of 20 km. 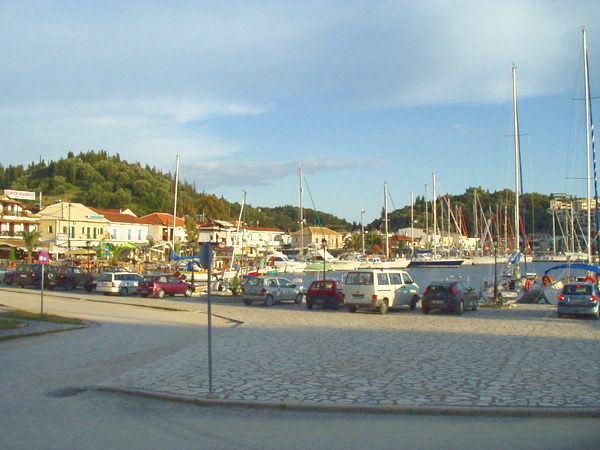 from Igoumenitsa and its final border reaches to Sagiada. 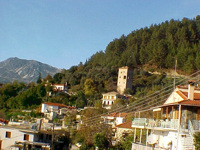 It is a municipality and is the capital city of the province of Filiates having a cultural centre and a hospital. 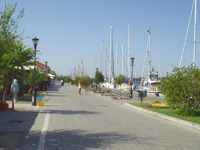 It is the commercial centre of the region. Near the town flows Kalamas river. 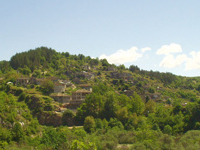 Interesting in the region is its mountainous villages, with their old houses built by stone and covered by plaques according to the architecture of Epirus. 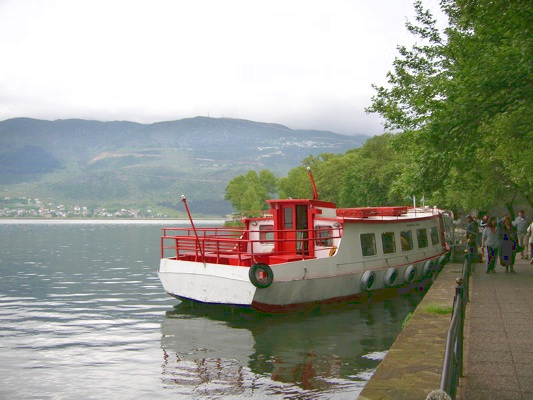 We suggest you a programme of tours and visits which you can use during your trip to the city of Ioannina. 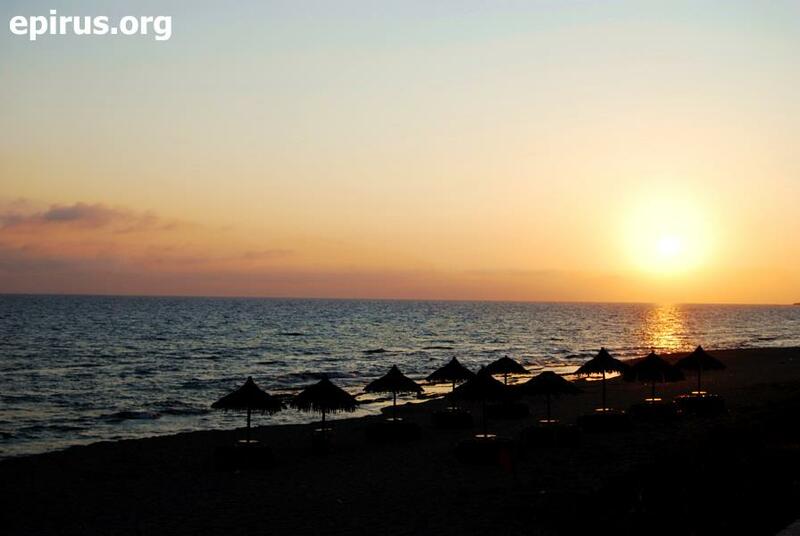 The programme of the visits lasts 4 days and you will have at least 3 overnights in the region, at a hotel of your choice. 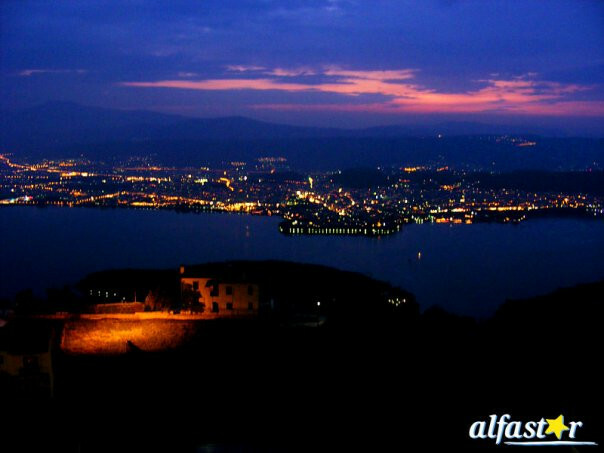 In this way, you will have the chance to admire the most important sights of the region. 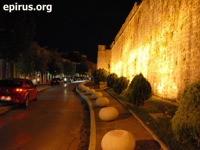 For you night entertainment, if you wish, you can visit the bars and clubs at the region of Molos or at the region of Skala (near the castle) or during the summer period, the nights clubs that there in Amfithea, at a distance of 10 km. from the city, on the nationl road of Ioannina – Trikala. 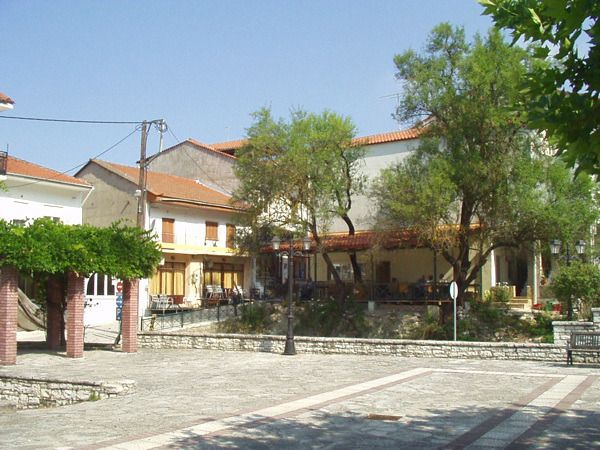 Don’t forget to eat at the traditional taverns and restaurants of Zagori, where you will have the chance to meet the rich tradition of the region, but also the tastes that you will find here only. 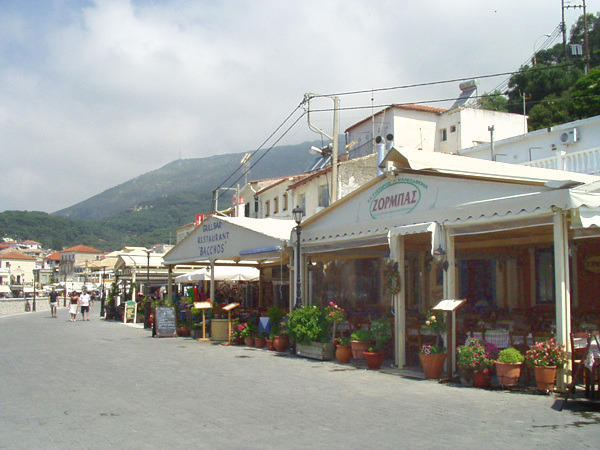 Taste definitely the local pies and other specialties of the region. Visit Vikos gorge which is considered to be one the best canyons of Europe. 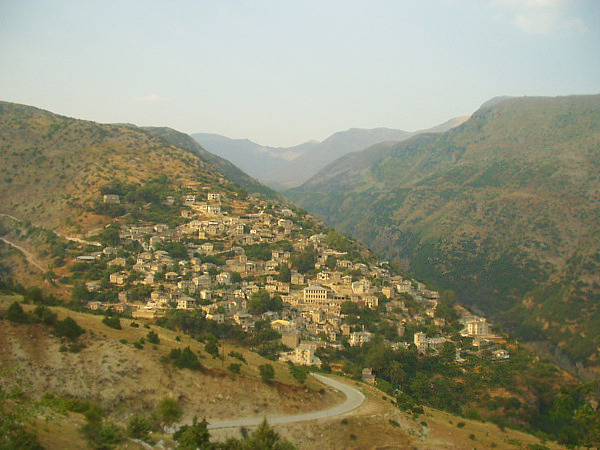 The canyon is approachable from many places: From the village Monodendri at the location of Oksia, from the locations of Beloi (near the village Vradeto), from the Monastery of St. Paraskevi near Monodendri, etc. 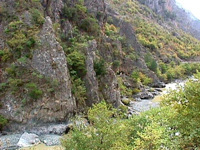 You can also go down the gorge from the marked paths that there are in the region (duration about 6 hours) from where you can enjoy the region and the rare species of animals that live into it. 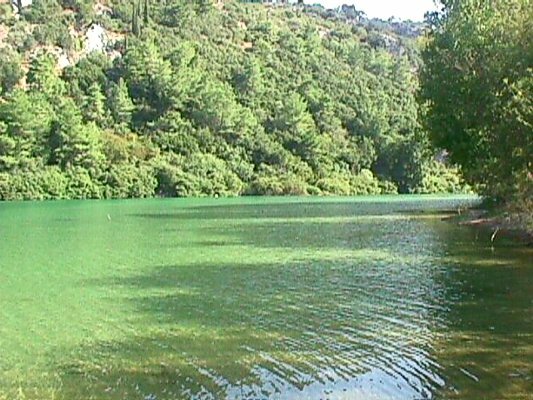 Visit the rivers of the region, where you can do canoeing, kayak, rafting, and othe relative activities, such as the river of Voidomatis, after Aristi village. You can do climbing at the mountainous bulk of Athamanika mountains (Tzoumerka). For more information you can contact with the local Trekking Club. 7 Tzavella st., tel. 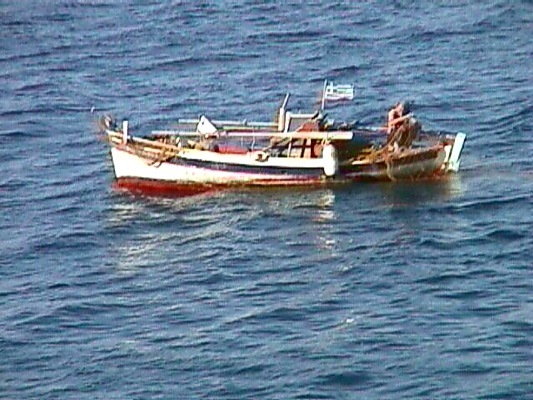 +30 26810.28030. For information about the region of Tzoumerka, please see our e-guide: www.tzoumerka.info. 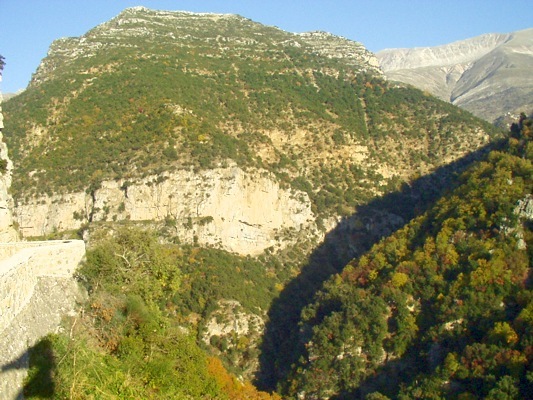 In the region of Zagori there are many climbing fields of high or lower degree of difficulty that offered to everybody that loves going climbing. 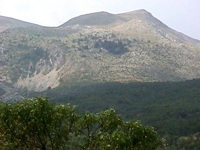 You will find climbing fields at Gkamila (altitude 2497 m.), at Tsouka Rossa (altitude 1987 m.), at Astraka (altitude 2436 m.) and at other places. 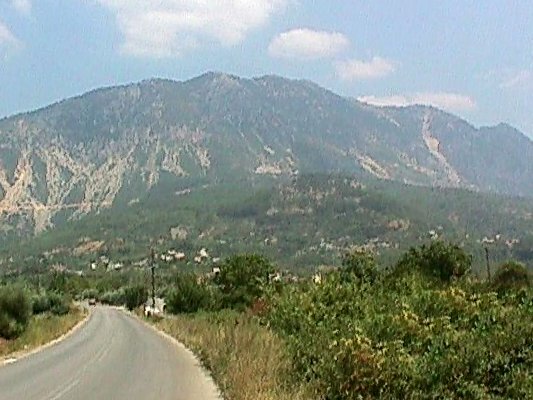 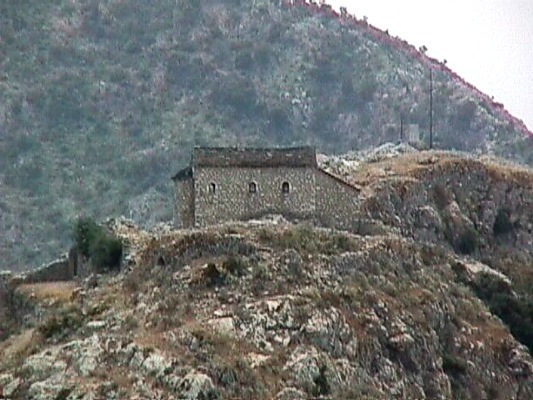 In the region of Konitsa there are climbing fields with different degrees of difficulty. 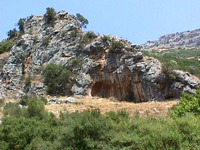 The region is offered fro climbing due to the morphology of the ground. You will find climbing fileds in Mavrovouni near Konitsa, in Kleidonia and in other places. 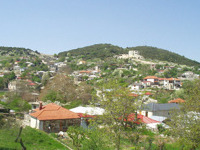 At the region of Mavrovouni you will also enjoy the magnificent view of the region. 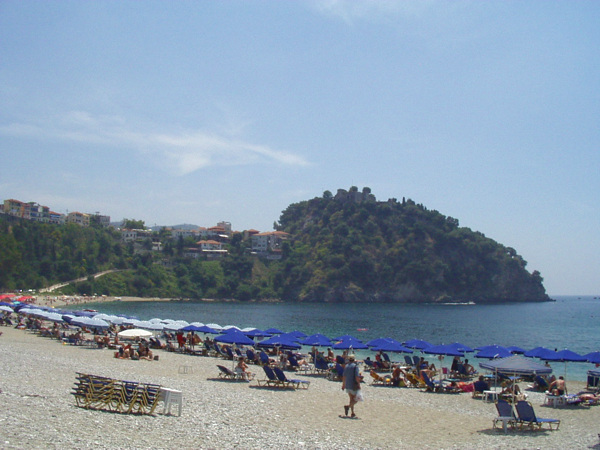 Diving: At Pantokratorsa beach, at the west of Kelidi cape, around the castle of Parga, at the islet of Agios Nikolaos in Parga, at an ilset near the island of Virgin Mary, at Lygia, at Katrosykia and in every beach of the prefecture. 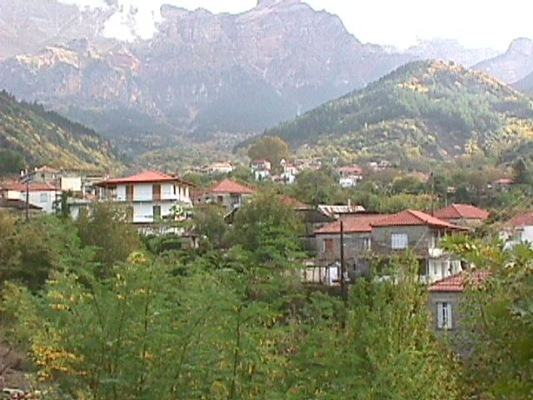 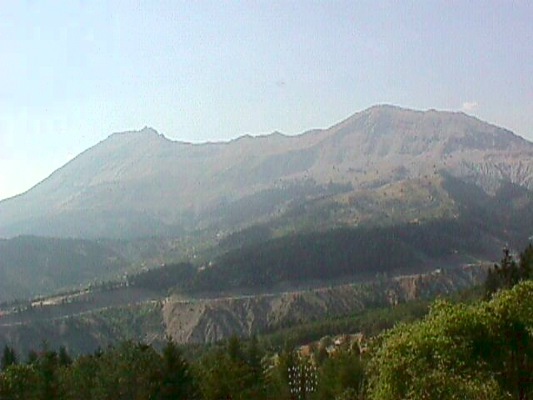 It comes into the prefecture from the region of Dodoni and continues until Loggades, Balntouma, Megali Gotista, then to the peak of Peristeri and Metsovo. 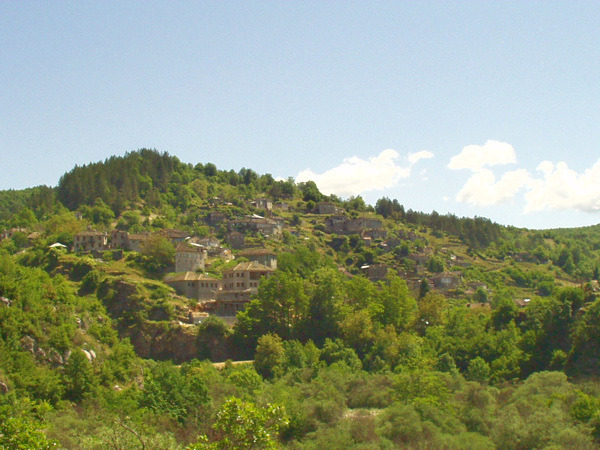 From this point continues to Milia, Valia Calda, Vovousa, Distrato and comes into the region of Vasilitsa in the prefecture of Grevena. 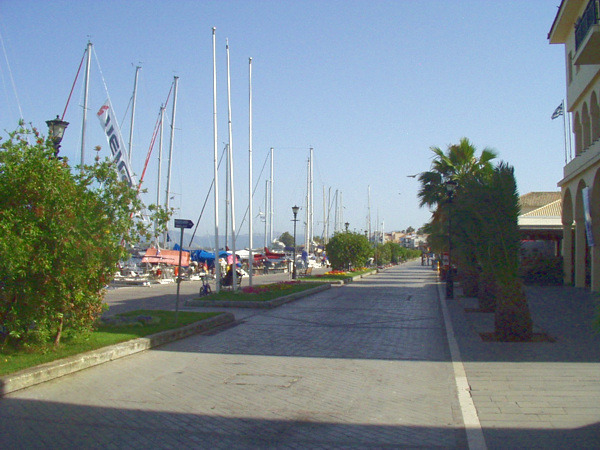 Along with the trail O3 it connects the european pathways E4 and E6. It starts from Metsovo in the same route with E6 until Peristeri and then continues to Syyrako, Kalarrytes, Kakarditsa and ends in Gardiki. 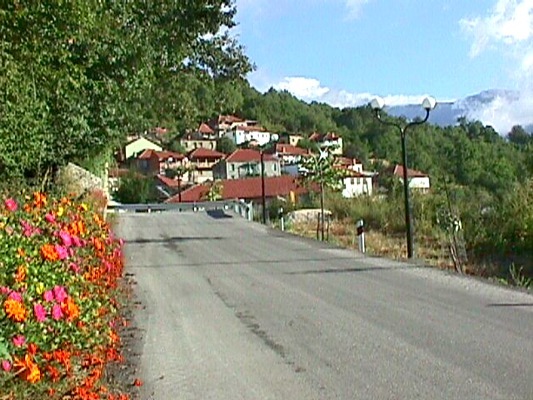 From the city of Ioannina, as a starting point the pathway O3 passes and follows in the beggining the path to the lodge of Mitsikeli and continues by passing successively the centre of Mitsikeli, the villages Dikorfo, Kipoi, Vitsa, Vikos gorge, the village Monodendri. 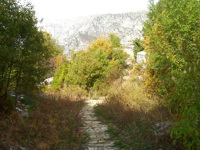 Then it goes down to the canyon of Vikos, in a unique passage that makes this pathway the most beautiful, for the majority of Europeans. Then, it flows to the springs of Voidomatis and continues to the villages Mikro Papigo, Vrysochori, Aoos bridge, Pades, Drakolimni of Smolikas, Agia Paraskevi, where ir meets the international climbing trail E6. 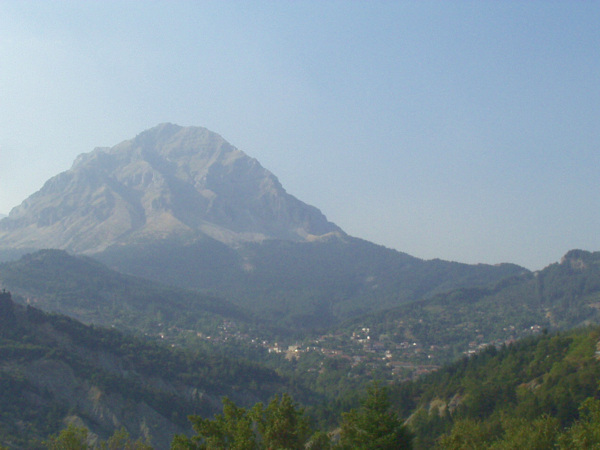 The mount of Tymfi, at an altitude of 2.497 m., is the most imposive mountain of Epirus. 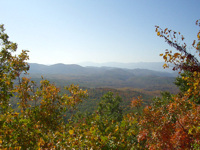 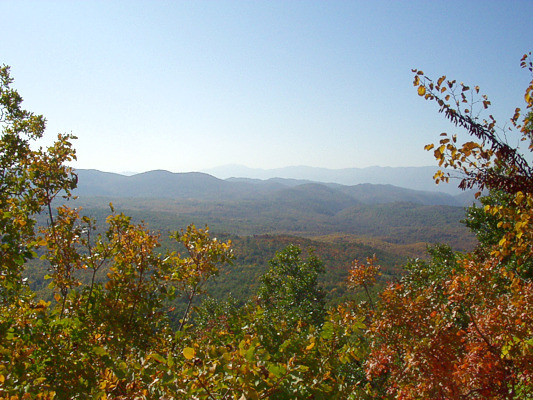 The lanscape of high peaks, steep slopes that end into deep gorges, is breathtaking. 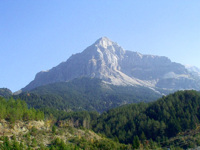 The highest and the most famous peak is “Gamila”. 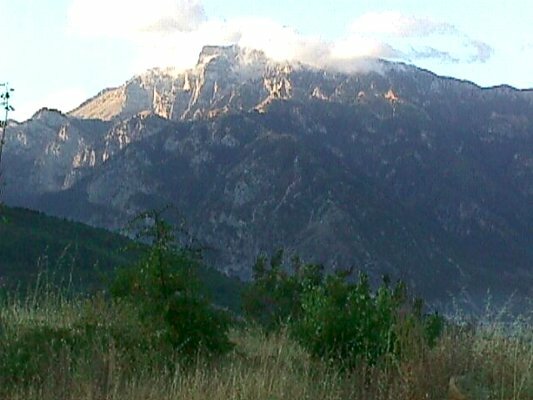 On its slopes there is the famous “Drakolimni of Tymfi“, at an altitude of 2100 m. From Mikro Papigo, as a starting point, and after five hours of trekking into a marked path, the Drakolimni of Tymfi and the view to mountain of Smolikas will compensate you. 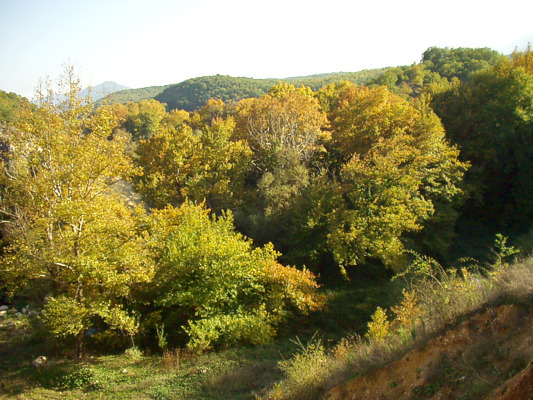 Altenatively, you can follow the national trekking trail 03 that crosses Tymfi from Papigo to Vrysochori. 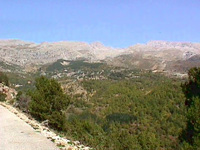 Tops such as Tsouka Rossa, Gkoura, Karteros and Astraka are also offered for trekking or climbing. 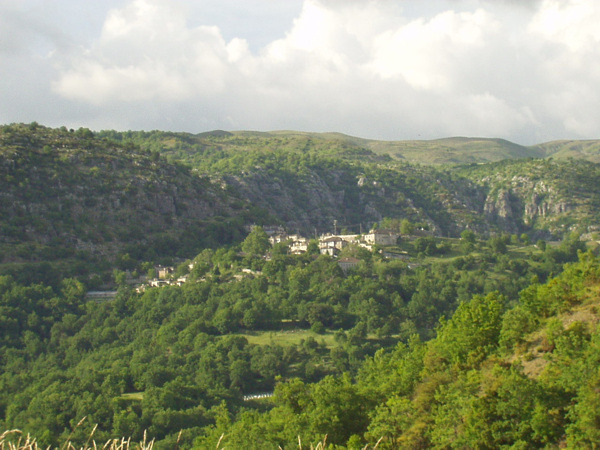 Zagori with its 54 picturesque villages and its beautiful landscapes is an ideal place for hiking and trekking. 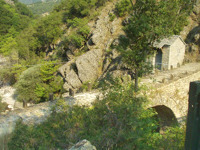 Walking in its old pathways that they connected the villages you will see many beautiful stone bridges of Zagori that are famous for their achitecture and the standing thorugh the time. 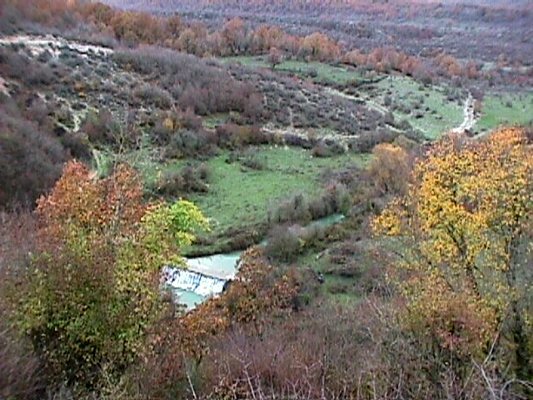 Altrenatively, you can follow the marked paths that cross Zagroi, such as O3 and other smaller. 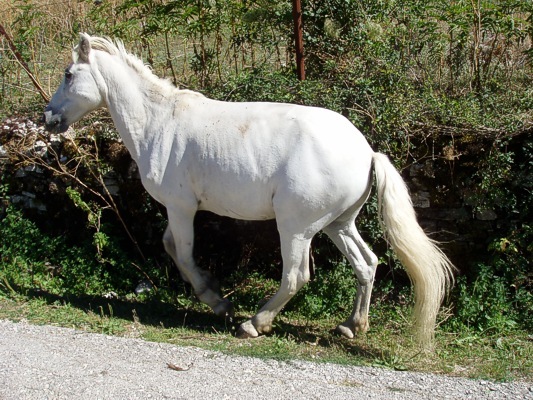 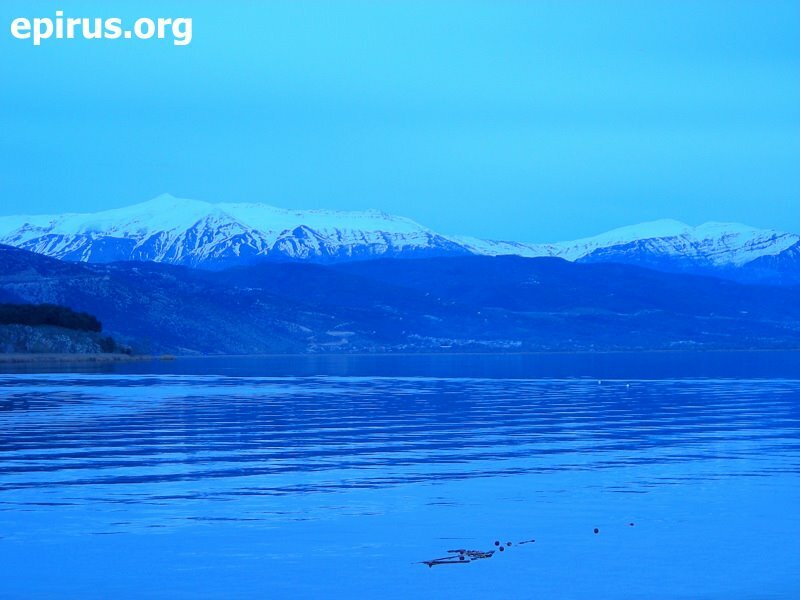 For those who love hunting, in the prefecture of Ioannina and especially in the regions of Pogoni they will find the ideal conditions to enjoy their favourite hobby. 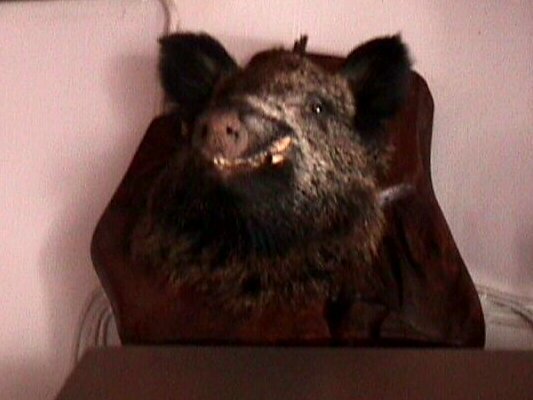 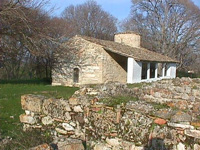 You can hunt many kind of birds, such as woodcock (in the whole Pogoni), wood pigeon (in Agios Kosmas) and also wild boar in the villages of Vissani and Ktismata. The hunting is allowed at the whole prefecture, except for the regions that have been characterised protcted or animal shelters. 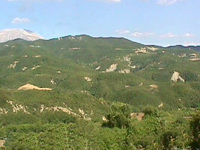 The mountain of Nemertsika is located at the north of Pogoni, at the borders with Albania. 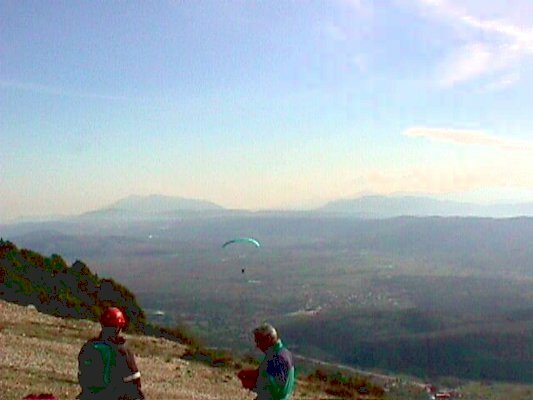 Its altitude is at 2.209 m. and is one of the highesr mountains of the prefecture of Ioannina. It offers ideal conditions for climbing to the experienced climbers through beautiful routes into green pure forests. As starting point the village of Meropi, Kefalovryso or Palaiopyrgos you can follow routes of 3 or 4 hours (there are no marked paths), admire the exceptional viem of Pogoni from Nemertsika, especially from the places of Mpitsikopoulo and Prophet Elias. The forest of Bouna is located near Delvinaki and offers beautiful routes because it is famous for its rich flora and fauna, like the valley of Gormos, which is nearby. 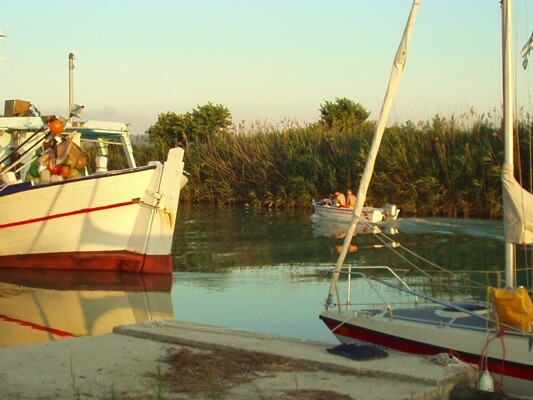 You can do cycling and canoying in Vovos river which is located near the river delta of Arachthos river. 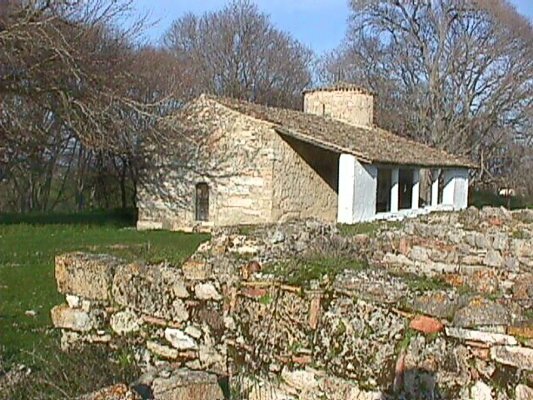 At the same time you will have the opportunity to enjoy the beauty of the nature of Epirus, in an important reserve of the region. 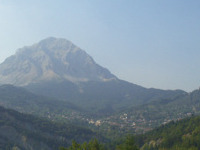 The prefecture of Ioannina is one of the most mountainous prefectures of the country. For this reason is offered for those who love mountain bike. 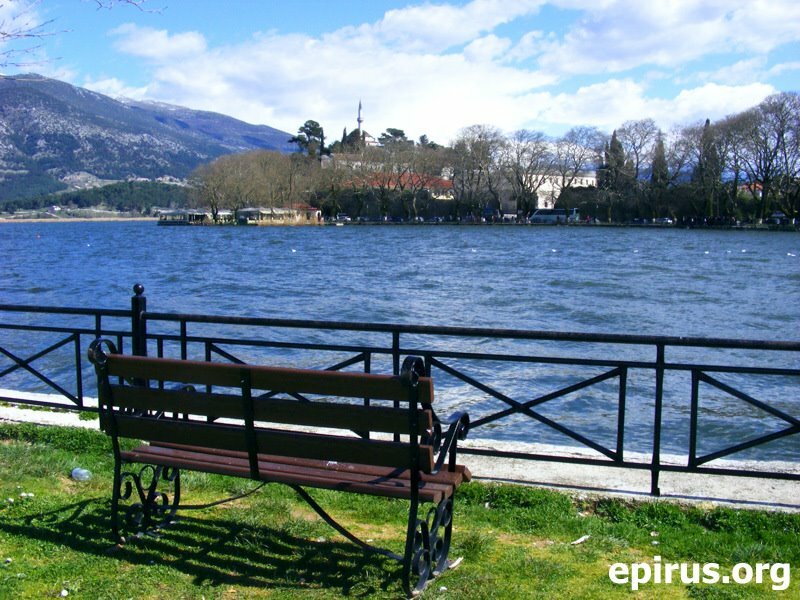 The beautiful natural landscapes and the pictursque villages of the prefecture of Ioannina is a place for attraction for the lovers of mountain bike. One of the best route to take, is this between Mitsikeli mountain, the villages of Zagori, but also in the region of Katsanochoria. 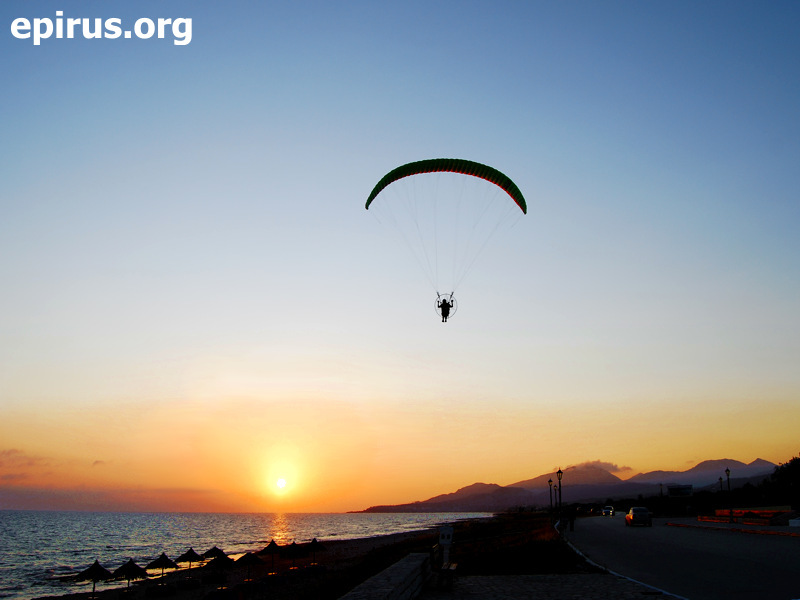 For information about the adventure activities, you can communicarte with the sports associations and clubs that there are in the region. Kalamas river is one of the most famous river in Epirus. 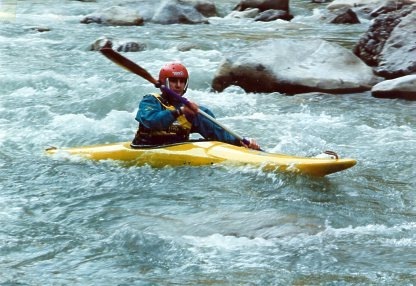 It is offered especially for those who wish to do water sports of adventure, such as Canoe, Kayak, Rafting, etc. 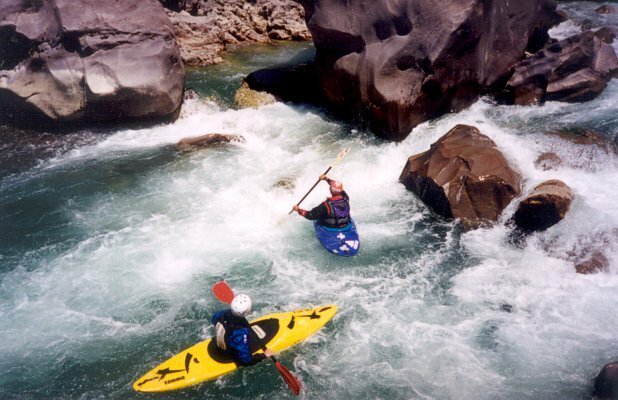 Aoos river is one of the most famous destinations for those who love adventure sports. With a dificculty degree from 3 to 5 offers amazing experiences to its visitors. The beautiful gorge, its stone bridge at the region of Konitsa and its unique natural landscape make the route really amazing. Every year take place sports events in the region, with the participation of many Greek athletes and from abroad. 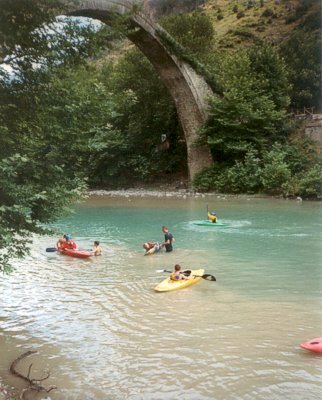 In Konitsa there are clubs that organise canoying at the river and you can be taught everything you need if you wish to take part in this kind of activities. 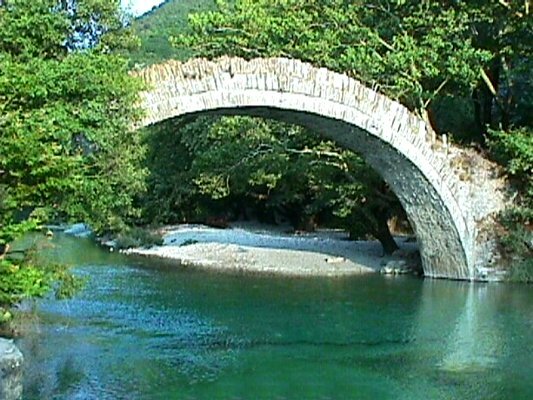 From the new bridge of Voidomatis rivers as a staring point, which is near Aristi the δroute with canoe from Kleidonia to the old stone bridge near the village of Konitsa is really amazing. The clear blue water of the river amazes every visitor with its colour and justifies totally the characterisation of the clearest and the most beautiful river of Europe. 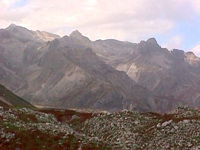 During the route of about 4 km. 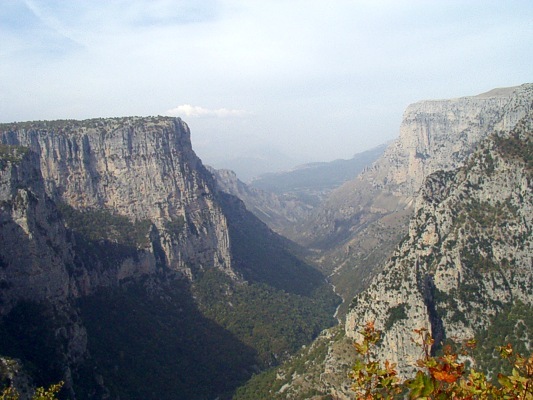 you will come accross the beautiful gorge of Voidomatis with none difficulty and you will enjoy the nature of the National Gorge of Vikos – Aoos. 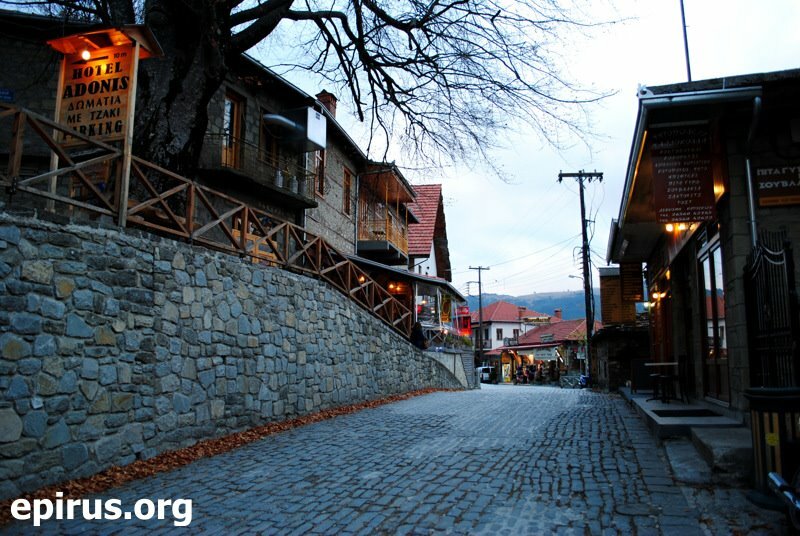 At the picturesque Metsovo which is located at a distance of 55 km. 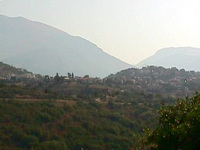 from the city of Ioannina, at an altitude of 1.150 m. there are two organised ski centres: The first one is “Karakoli” and the other is at the location of “Prophet Elias“. 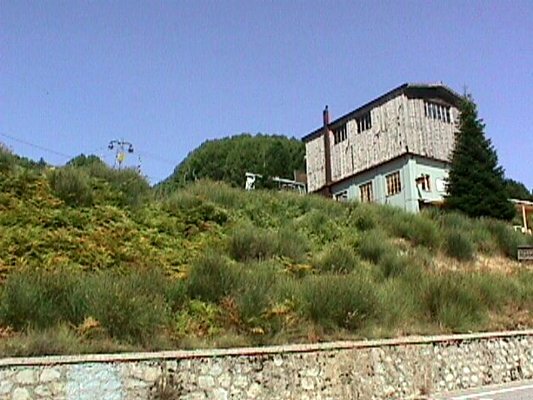 The ski centre “Karakoli” has two ski-slopes, it is located at an altitude of 1.350 – 1.520 m. and at a distance of 2 km. 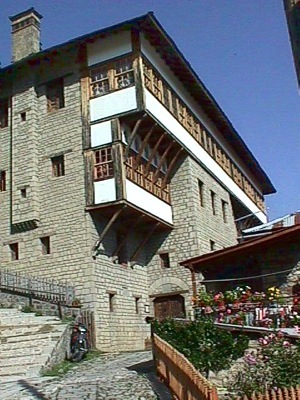 from the centre of Metsovo. 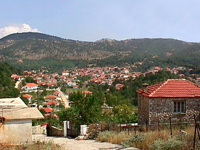 The ski centre of Prophet Elias is located at a distance of 5 km. 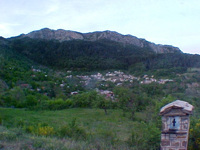 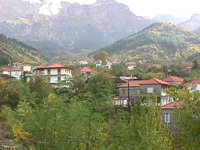 from Metsovo, at the plateau of Politses, at the foothills of Mavrovounio. 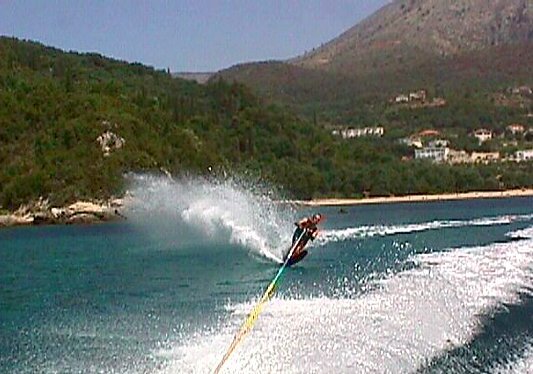 It has 4 ski-slopes at an altitude from 1.430 m. – 1620 m.
One of the best mountain trails of Europe crosses the prefecture of Thesprotia. 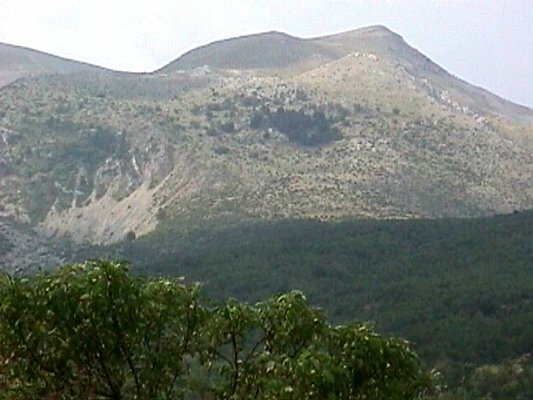 It is the European mountain trail E6 which crosses the prefecture and directs to Dodoni of the prefecture of Ioannina. 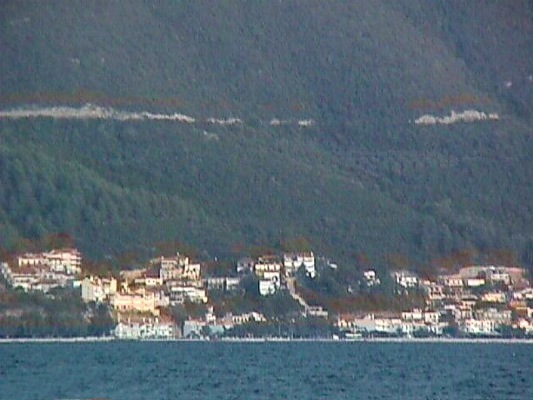 It crosses along Igoumenitsa, Dramesi village and Paramythia. 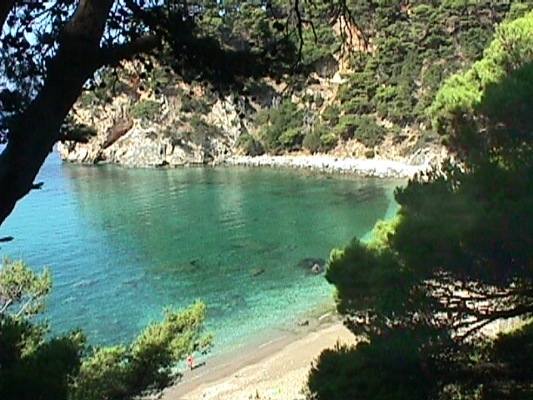 In the prefecture of Preveza you can enjoy swimming in many beautiful beaches. 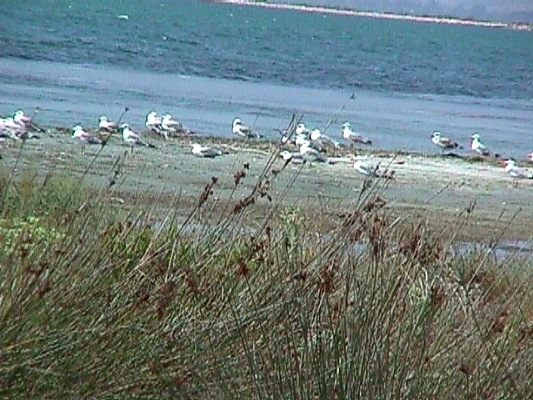 Many of them are fully organised. 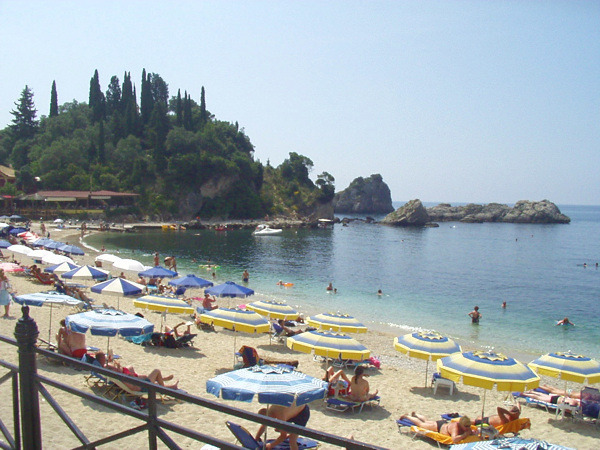 The prefecture of Arta has many beautyiful beaches where you can enjoy swimming or other sea activities. 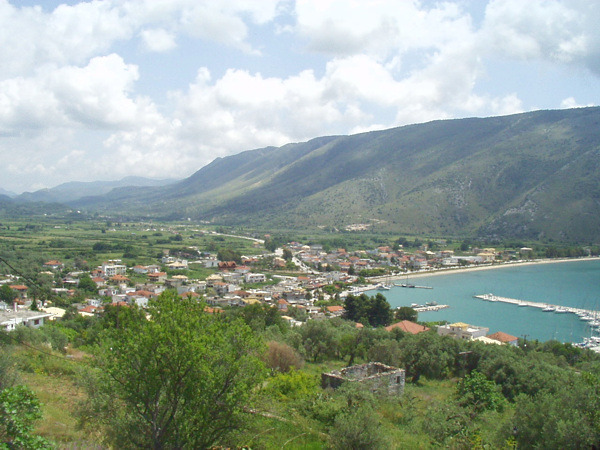 The beaches are at a small distance from the city of Arta and easily accessible by car or local transportation. 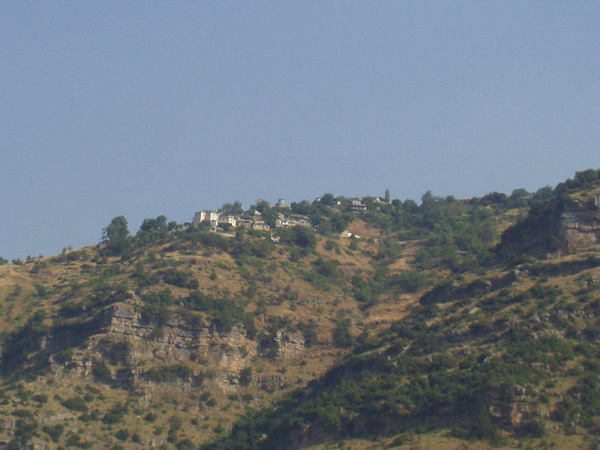 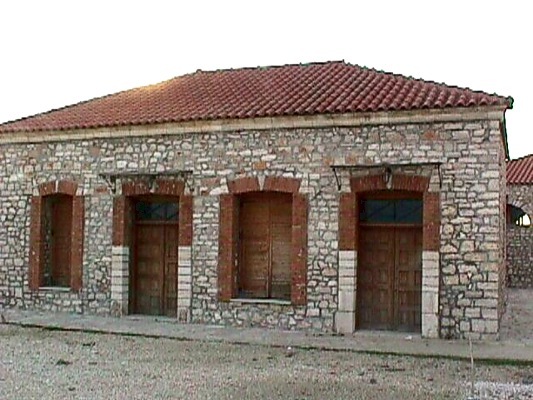 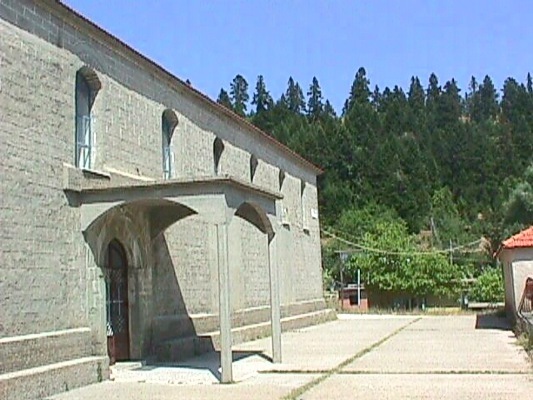 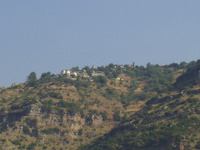 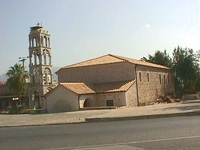 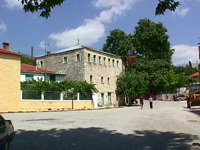 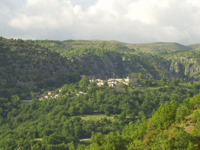 In Menidi, at a distance of 20 km. 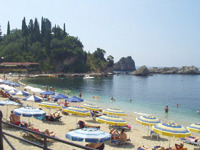 from the city of Arta, at a nice sandy beach. 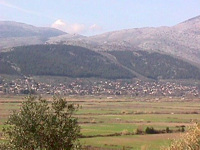 There is transportation at a regular base from Arta. 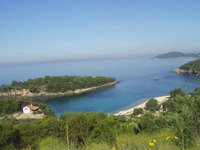 In the beach of Koronisia, which is located very close to the city of Arta. 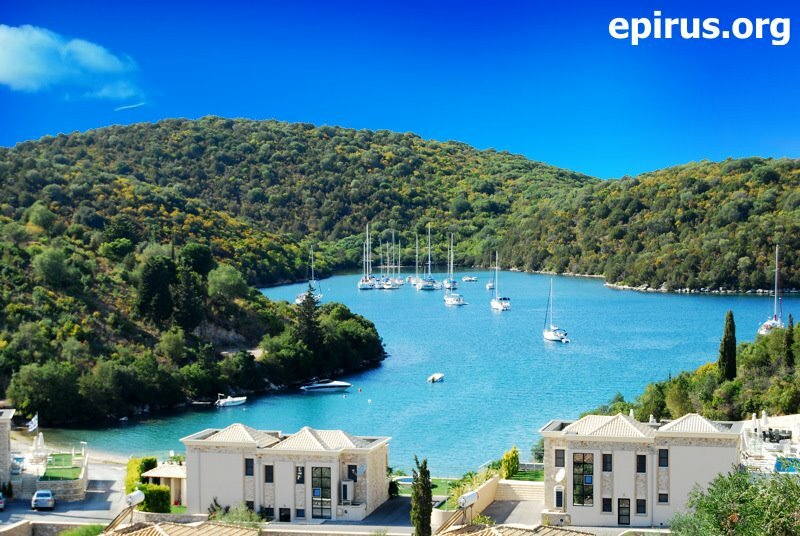 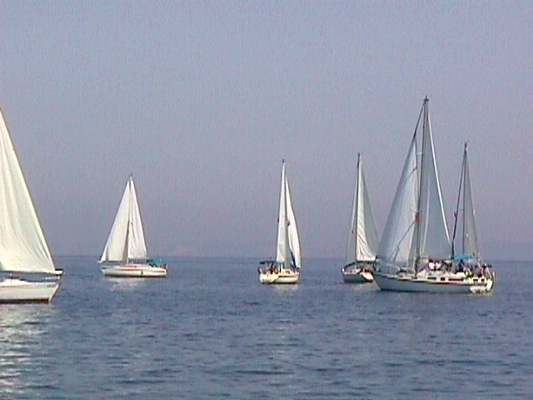 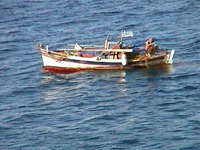 The seaside regions of the prefecture of Thesprotia are offered for doing sailing. 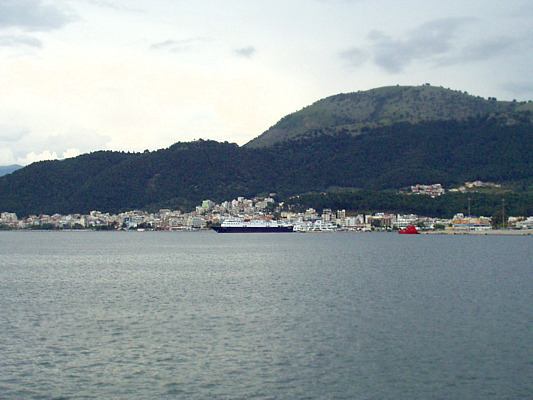 You can use the port of Igoumenitsa, as a base for your sail trips where you can supply with oil and water. 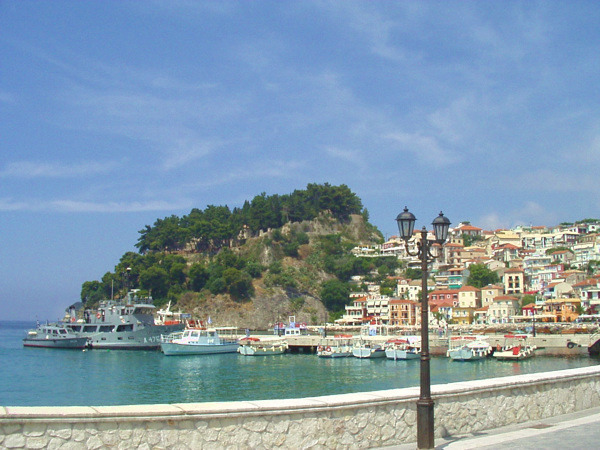 From this place you can visit Corfu, Paxos, Lefkada and the nearby ports, such as one of Plataria, of Syvota, of Parga and Preveza. 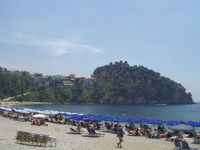 You can also enjoy the unique beaches of Epirus and the nearby island of Ionian Sea. 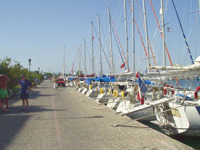 At the port ofIgoumenitsa there are available sailing boats for rental (yacht). 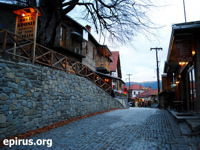 At the plateau of Politses, which is located neat to the ski centre of Prophet Elias and at a small distance from Metsovo, you will find trained horses for riding and experienced riders who will guide you at your firts steps. 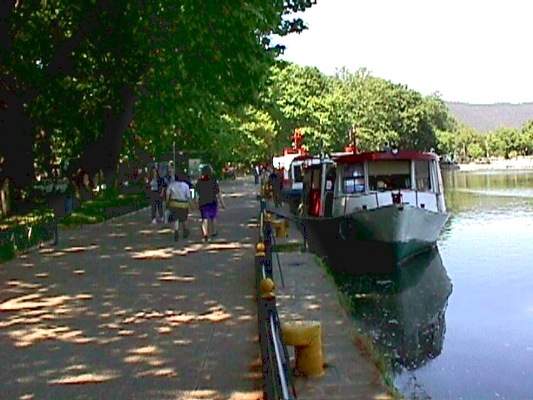 Pamvotida lake in Ioannina is ideal for sea ski because most of the time the winds in the region are favorable and the space that the ships move is limited at the area of the lake. 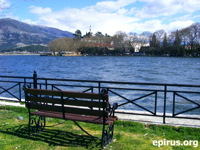 So, you can enjoy your favourite sports doing long routes into the lake. 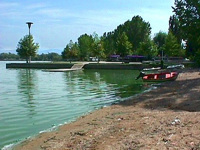 Pamvotida lake offers the idealest conditions for these sports. 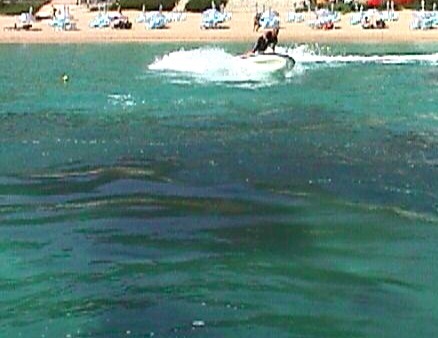 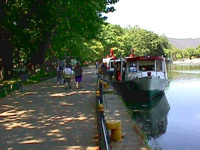 There are water sports facilities at Limnopoula, at the stadium of Ioannina Athletical Centre, 24 28th Merarchia st. 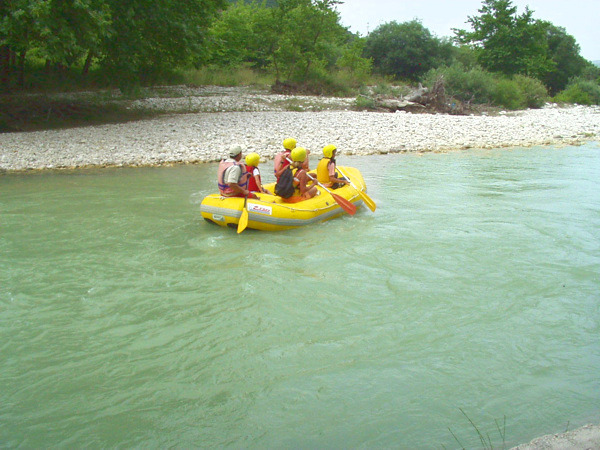 The river Arachthos is one of the most famous destinations for those who love rafting and kayak. 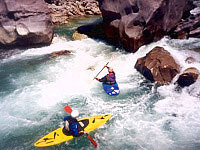 At the region of Agnanta the riverflow is very strong and offer ideal conditions for this kind of activities. 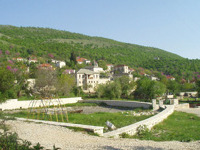 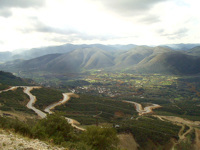 The route is Plaka’s bridge – Skoupa (distance 12 km. 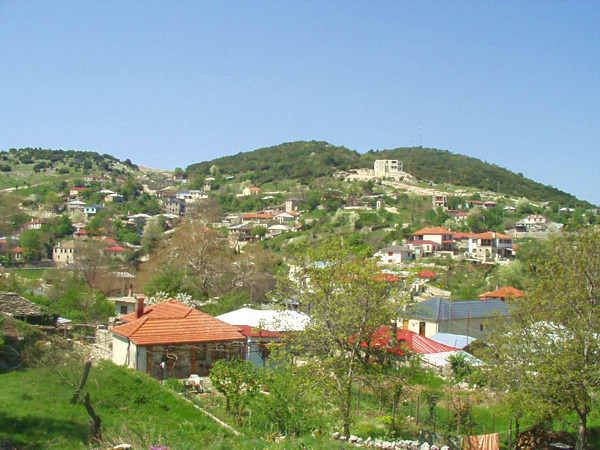 with a very hard part of third grade difficulty) and the best season for this is spring when the water is deeper, beacuse of the snow that melts on the mountains of Tzoumerka. 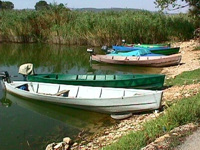 The river Gormos which is located at the area of Ano Pogoni of the region Pogoniι offers ideal conditions for fishing. 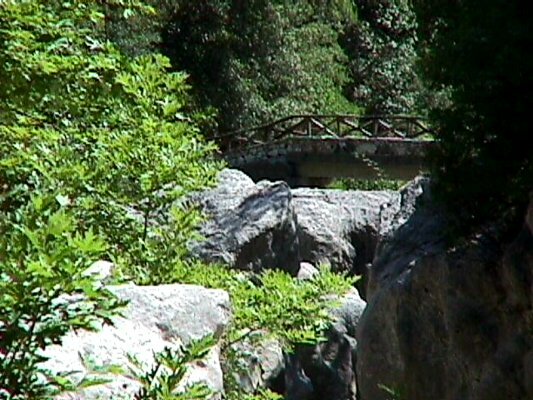 It is accessible from many paths, while you can enjoy its exceptional ecosystem. 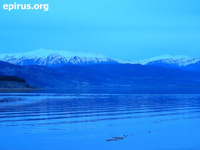 The famous by songs lake of Ioannina, Pamvotida lake, enchants every traveller with her beauty. 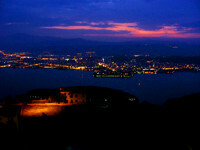 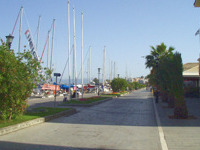 You can enjoy it by walking at the pier around the east side of the castle and the lakeside zone of the city. 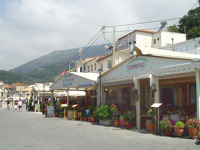 At this area of the city there many places of entertainment, bars and cafes where you can enjoy your drink or coffee. 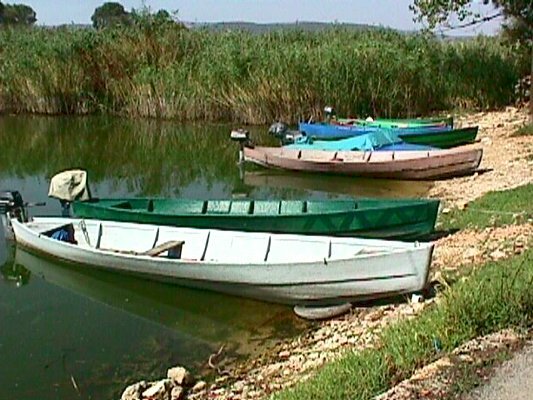 It is also necessary a visit to the island of Pamvotida lake (the only one lake island of Europe with habitants). 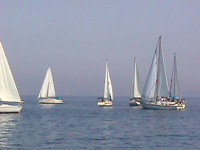 Boats do ferries from and to the Island. 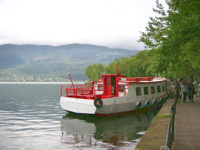 Another one good suggestion for trip, is a trip around the lake by car. 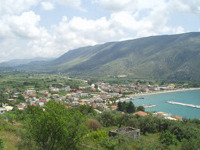 The route is a good way to see the whole lake, but also visit the villages around the lake and other interesting sights, such as the Cave of Kastritsa and the Monastery of Dourachani in Drampatova. 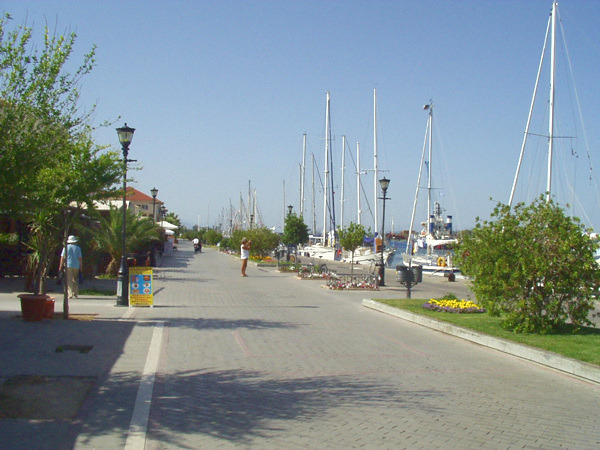 In the region of Drampatova you can also find many restaurants and taverns where you will have the chance to enjoy local plates and plates of Greek cuisine. 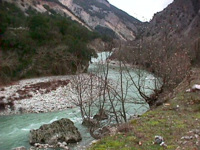 Kalamas river flows near the village Ragio at the northwest of the prefecture of Thesprotia, between Mavronoros and the hill of Mastilitsa. A dirt road leada to the river delta, and from there you can continue by walking until the point where the river meets the sea. 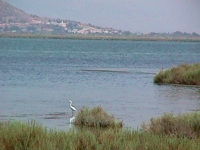 The river delta of Kalamas is a shelter for many different species of birds, but also for herds of wild horses. 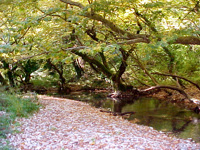 At the banks of the river grow many plane trees. 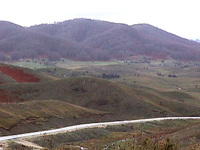 The majority of the little islands that are formed at this place have been covered by the deposits of the river. 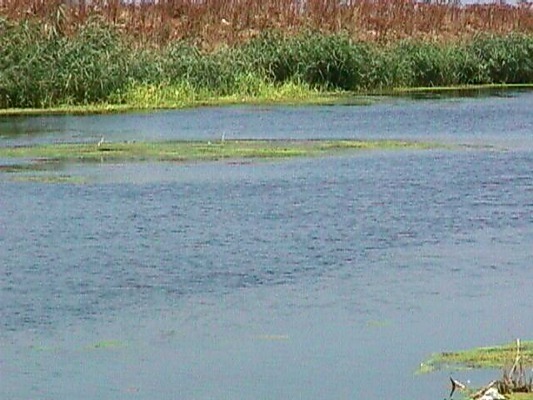 Another way to observe the thousands of birds that nest at the delta river is by boat from Sagiada. The access to the region is possible from many places, with starting point either Ioannina, or Igoumenitsa, or Filiates. 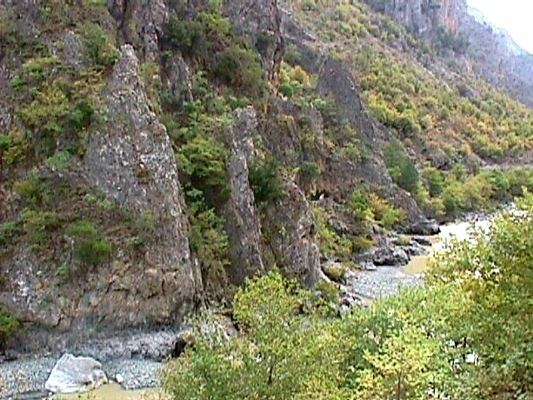 At the beggining and the end of the gorge, you can see the citadels of Osdina and Raveni, standing on bulk rocks. 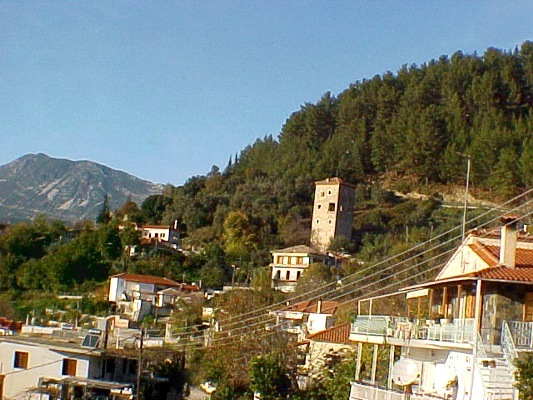 During your trip you will see the old watermills, the two citadels with byzantine fortresses and post-Byzantine churches, rare flora and the steep cliff which there is at “Faraggopidima” location. 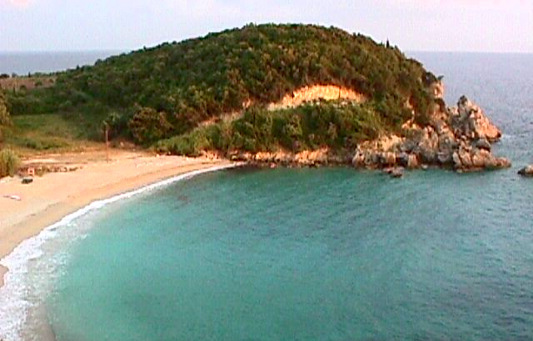 From the cove of Ammoudia where flows Acehron river, you can enoy the natural beauty of the region by boat. 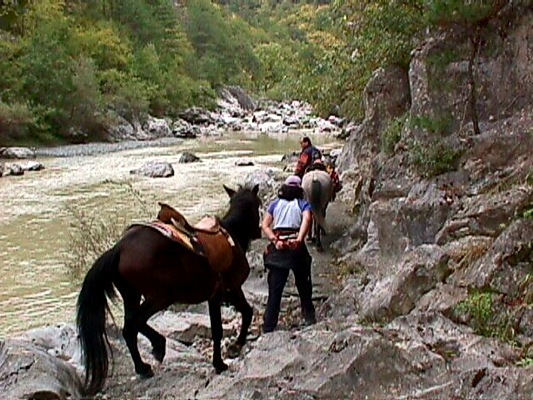 The trip to the river is really exciting. 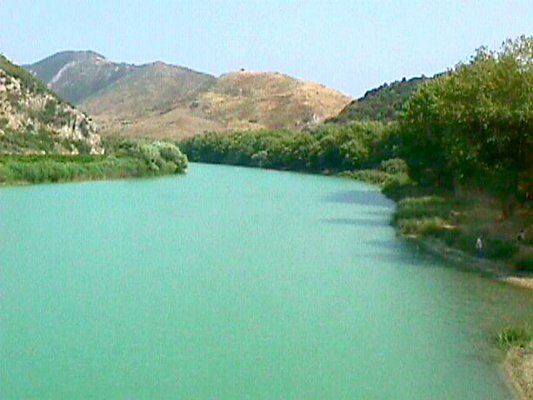 Acheron river is navigable till Mesopotamos village. At an altitude of 2.637 m. Mount Smolikas is one of the most impressive mountains of the north Pindos and the second highest mountain of Greec after Olympus. 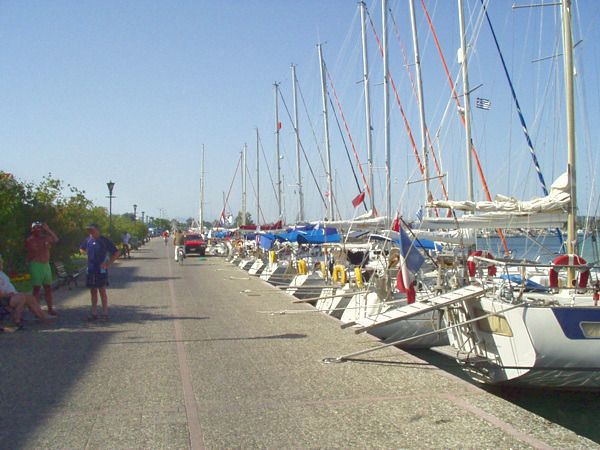 From Pades or Agia Paraskevi, as starting points you can enjoy an outstanding route. 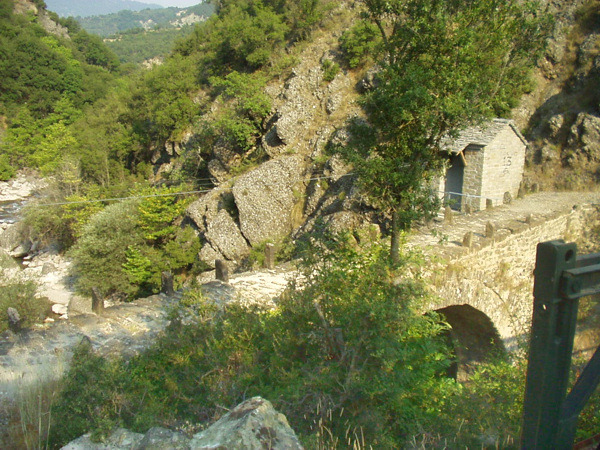 Passing through beautiful pin forests, you will get, after 5 hours walking, to the famous “Drakolimni” of Smolikas at an altitude of 2.150 m.
From the stone bridge of Aoos, a miracle of architecture of builders from Pyrsogianni (1870), starts a marked path along the river Aoos with direction to the gorge. The gorge extends between steep slopes, but there are also and places where the tourists can have a cool swimming.The exceptional ecosystem of the river becomes a shelter for many kinds of animals and birds, such as wolves, wild boars, deer, otters, woodpeckers, squirrels and kinds of eagles, etc. 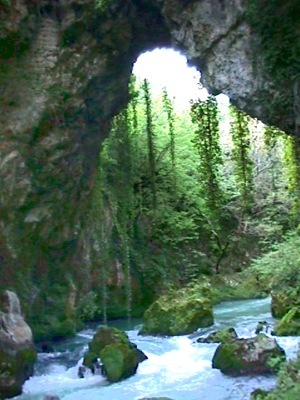 During the trip the visitor will see the beautiful waterfall of Gravos, which is located near to the Monastery of Stomiou (1774). The view to the gorge from the monastery is outstanding. 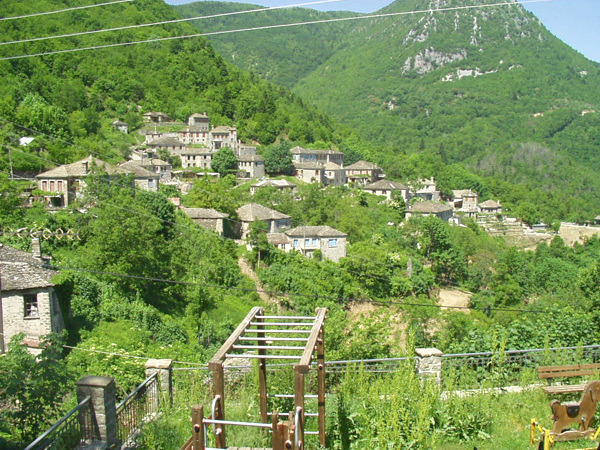 The path for those who want to continue the trip to the “Passage of Karteros”, ends up in a beautiful plateau and then goes down to the village of Zagori, Skamneli (lasts about 3 hours more). Moreover, from the plac “Desi”, at a distance of half an hour from the monastery you can continue the route to Drakolimni if you wish. 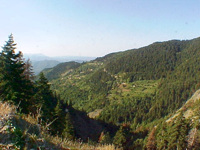 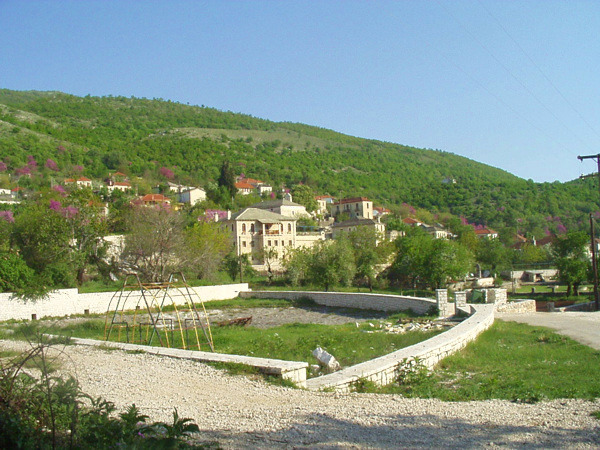 The region of Tzoumerka offers unique mountaineering and hiking trails, but also many other activities. 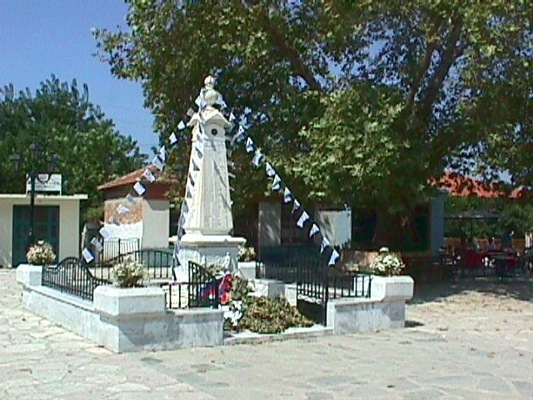 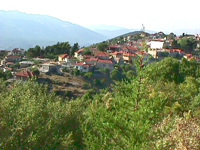 From the village Agia Kyriaki, which is located at a distance of 8 km. 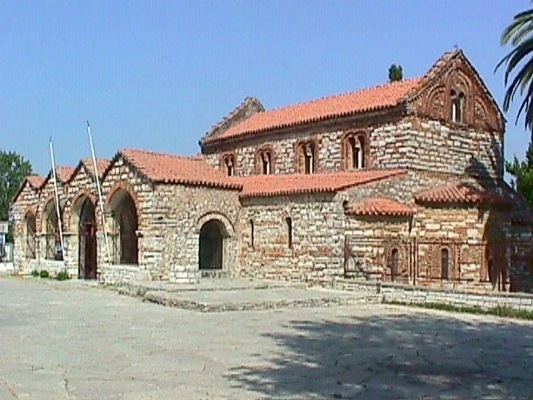 from Paramythia, or from Paramythia you can climb on Mount Gorilas by following the marked path and you can also visit the cave of St. Arsenios, in which there is the church of St. Arsenios that feasts in summer. 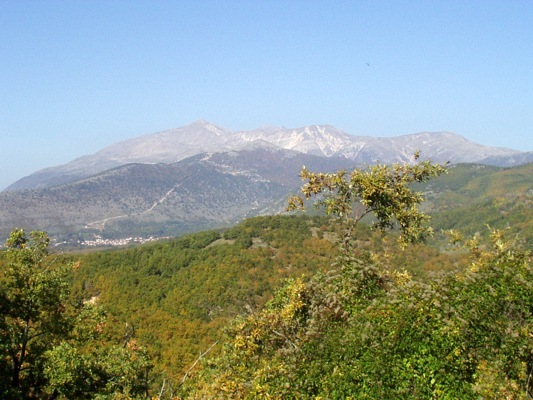 If you decide to climb on the top (1658 m.), you will be compensated for this difficult climbing lasting 6 hours by the view of the whole town of Paramythia and the plain. In the prefecture of Arta you can go fishing at thee rivers of the prefecture, the beaches and the artificial lake of Pournari. 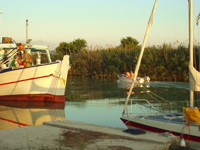 The route to Arachthos estuary done by a little boat from Neochoraki to the estuary of Arachthos – Logaros – Tsoukalio and Rodia where is the pelicans’ shelter. The lagoon of Tsopeli is located at Amvrakikos bay and it is at a distance of about 11 km. 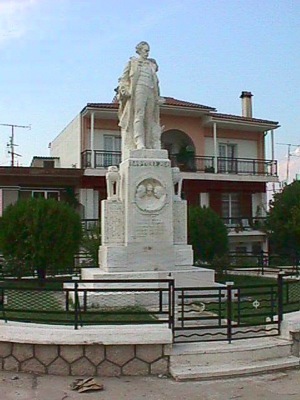 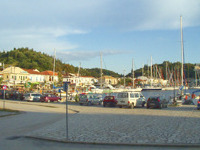 the city of Preveza. The rich avifauna of the area has a big interest and the naturalists can admire it either by the appropriate observatories which are around the lagoon or by walking on the narrow strip of land which separates it from Amvrakikos bay. 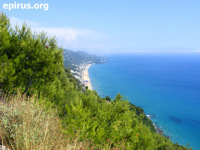 This strip of land is also the biggest beach with shells in Preveza with thousands kinds of shells. 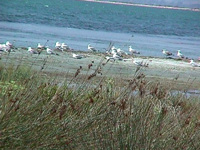 In sping many species of birds, such as pelicans or gulls, nest on the small islets of the lagoon. 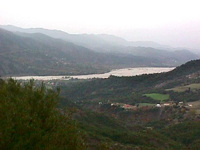 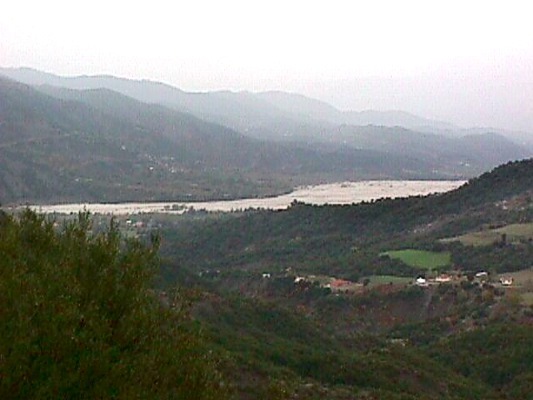 On the north of the lagoon ends up Louros river. 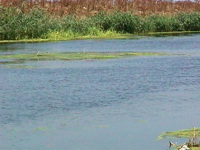 This River Delta is an important ecosystem of this region. Acheron river is located at the prefercture of Thesprotia. 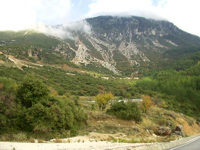 Its springs are on the mountains of Souli and ends up in Ionian Sea. Acheron river and the areas around it are an important ecosystem recognised and protected by Natura 2000. 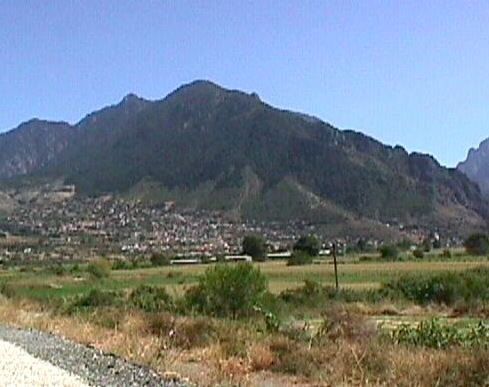 In this region of exceptional beauty you can enjoy walkings, sports, trips and excursions. 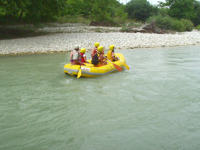 In Acheron river you can also do many activities like rafting, etc. 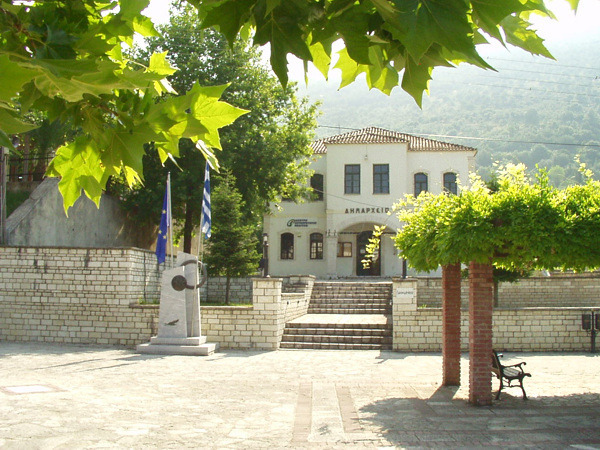 The springs of the river are located at Glyki village on the margins of the prefectures of Thesrotia and Preveza. 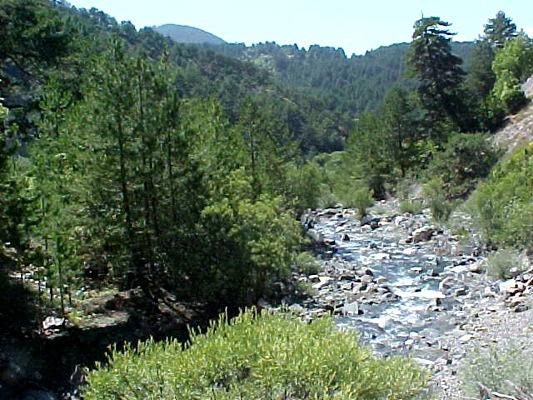 For thoese who can stand its cold water, they can enter the river from its springs as it is shallow in many parts. 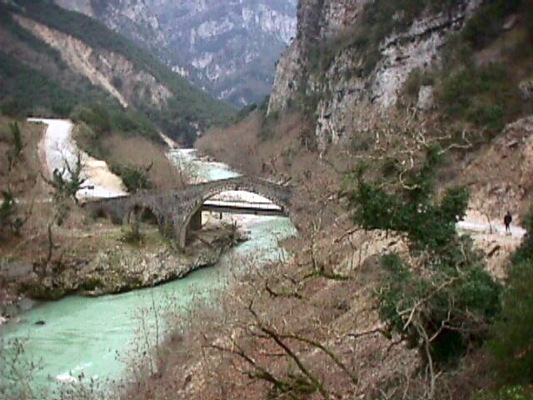 Going up against the river stream you can pass under the bridge of Dala where the stream Dala meets Acheron. Along the route, there is “Tzavelaina Stairs“, the famous path that was used by the residents of Souli during the Ottoman period. 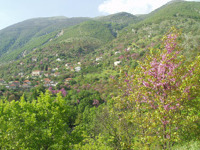 You can continue till the springs of stream Dala, where there is an old restored watermill, or follow the road to “The Gates of Hades” directed to Serziana, a point where the canyon is very narrow. In the past the rocks were united on the top, giving the image of a tremendous gate, “The Gate of Hades“. 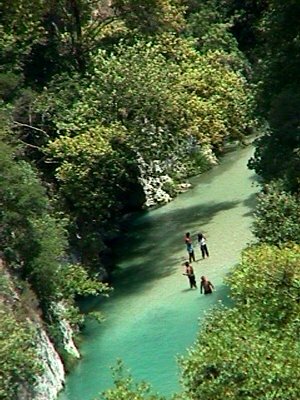 You can find many points of the river where the water flows slowly and offered for swimming. In Salaora there is a research centre and information. 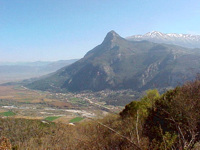 It is located at a distance of 22 km. 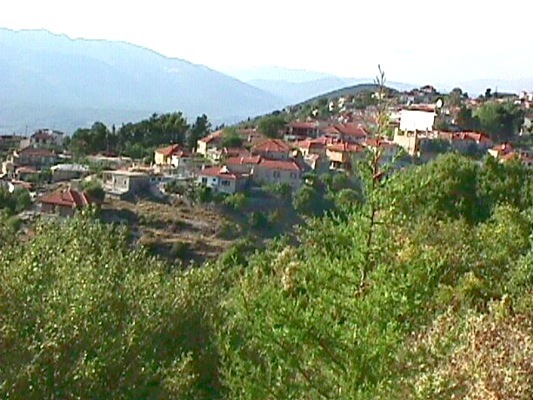 from the crossroad of Kostakioi – Koronisia. 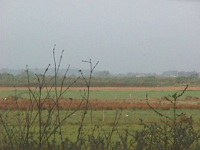 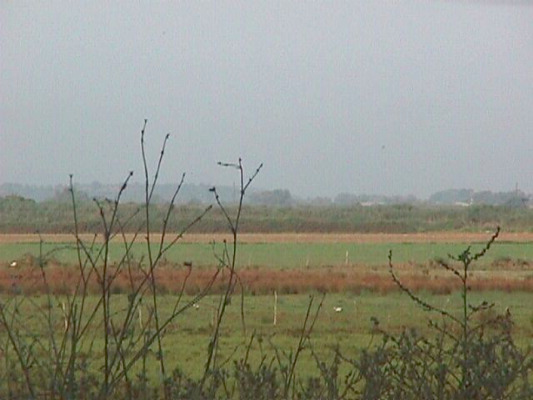 The tour at the centre lasts about 1 – 2 hours with a direct display of the birds of the wetland. 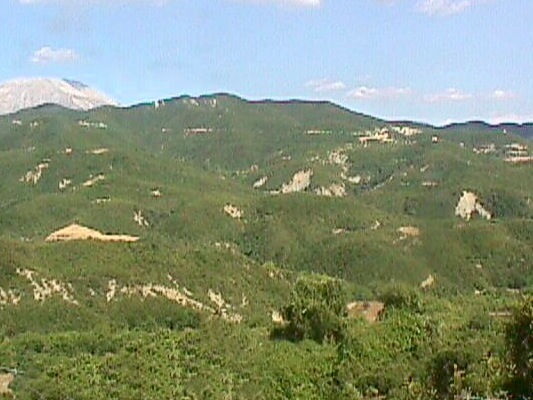 Kopraina is located at a distance of 10 km. 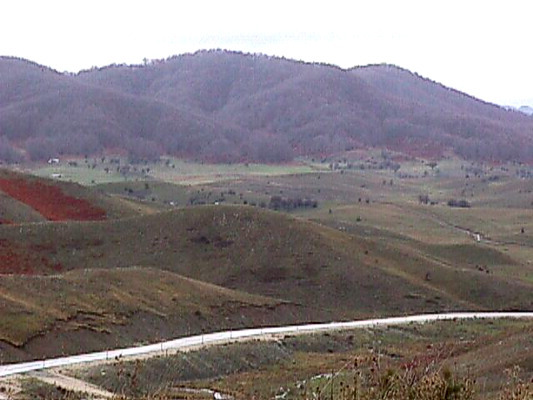 from the crossroads of Sykees. 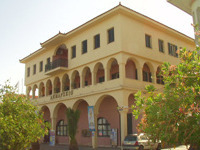 You can do a sightseeing tour at the Museum of Natural History, at the aquarium. 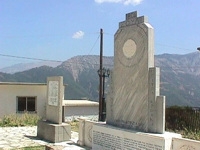 The tour lasts about 2 – 3 hours. 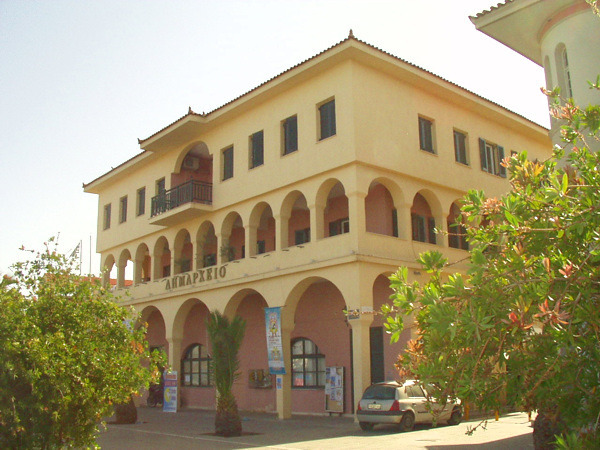 In the museum there is also a library with many books offered. 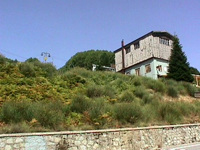 There is also a guesthouse available. 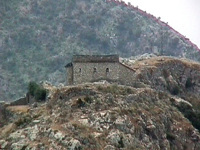 In addition you can do a sightseeing tour at the lighthouse of Kopraina, at a distance of 1 km. 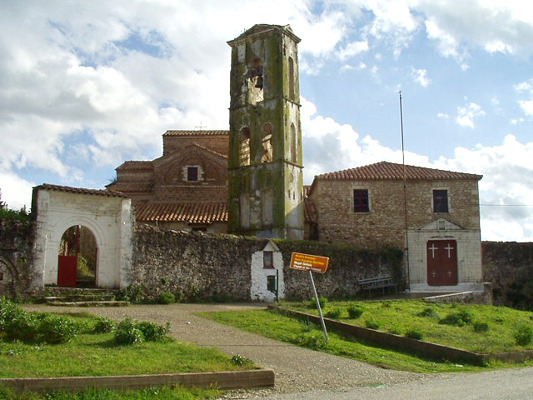 from Kopraina, where there is a museum of lighthouses and natural history. 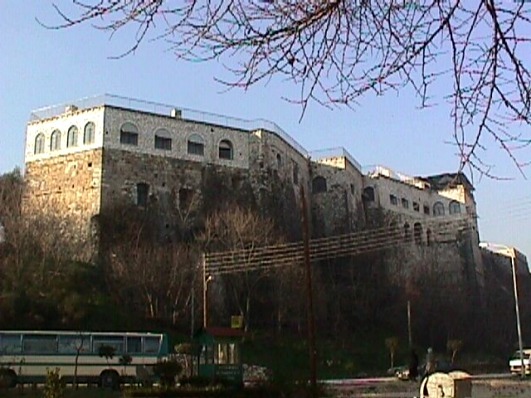 The tour lasts about 1 – 2 hours. 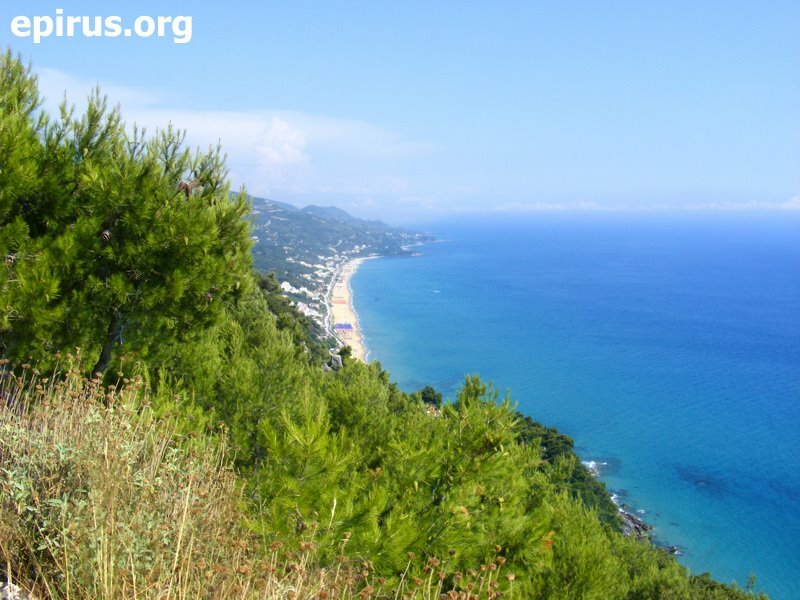 In the prefecture of Preveza you can do trekking in many regions of outstanding natural beauty. 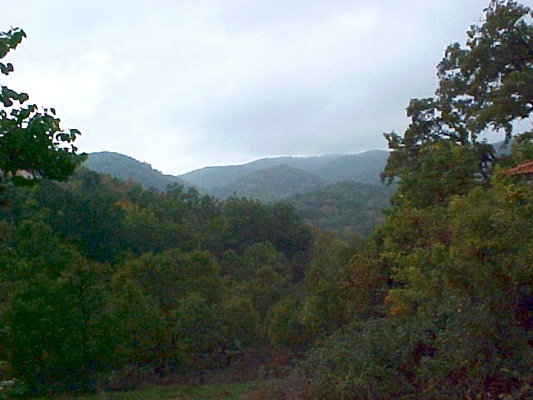 One of them is the forest of Lekatsa, close to Myrsini village. 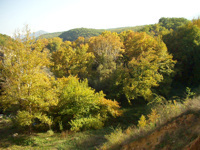 It is a forest of rare fauna and flora and a natural animal shelter. 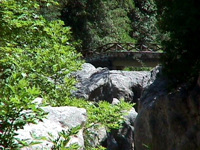 There is a path in forest for the visitors, which encircles the forest and other kinds of joy. 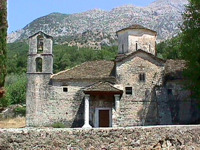 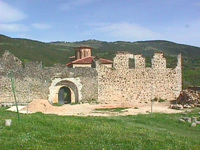 The Monastery of Lekatsa is located very close to it. 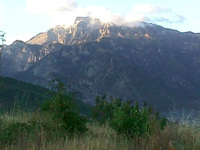 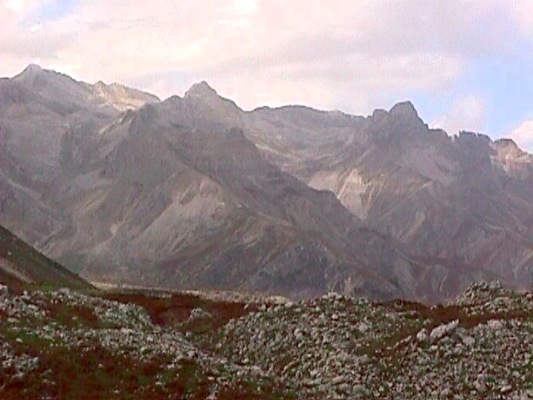 Mount Nemertsika is located at the north of Pogoni, at the borders with Albania. Its altitude is at 2.209 m. and it is one of the highest mountains of the prefecture of Ioannina. It offers ideal conditions for climbing for the experienced climbers through beautiful routes into whole green and virgin forests. 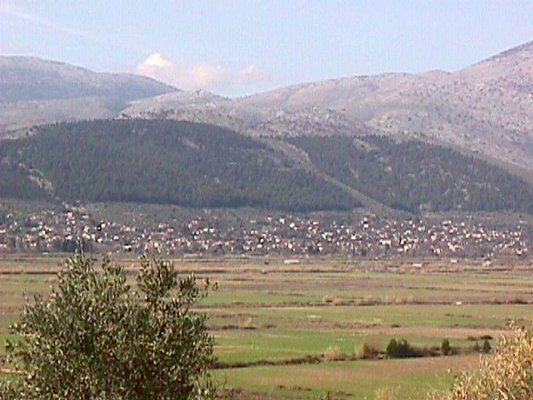 You can admire the outstanding view of Pogoni from Nemertsika, especially from the places of Mpitsikopoulo and Prophet Elias by routes of 3 or 4 hours from Meropi, Kefalovryso or Palaiopyrgos as starting points (there are no marked paths). The forest of Bouna is located near to Delvinaki and offers beautiful routes as it is famous for its rich flora and fauna and also for Gormos valley, which is located near to it. 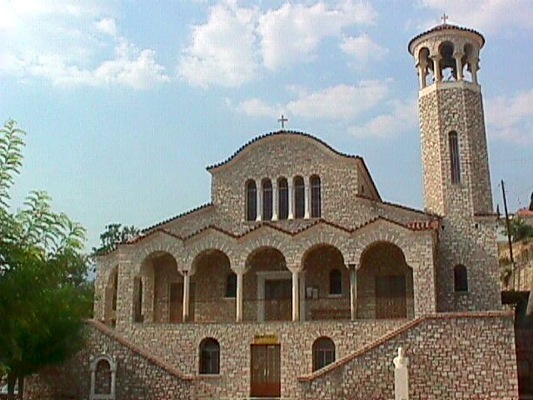 3rd Easter Day: Traditional feast at the traditional Monastery of St. Nickolas in the region “Selio”. 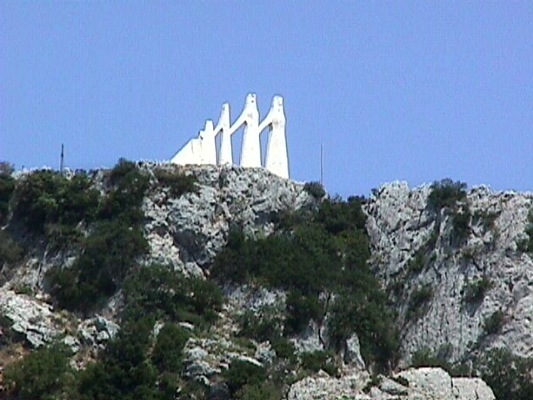 5th May: Events for General Zervas and for the bombardment by the Germans (5/5/1943). 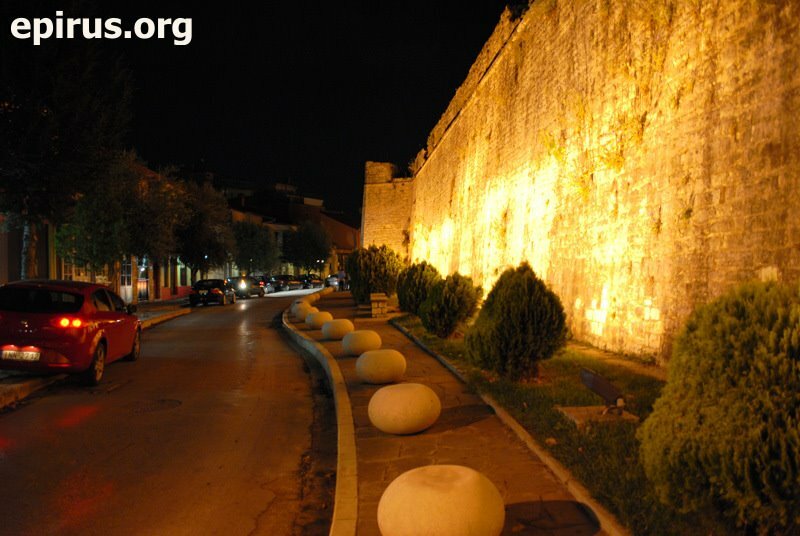 29th – 31st July: “Skoufaika”, a tribute to the memory of Nikolaos Skoufas. 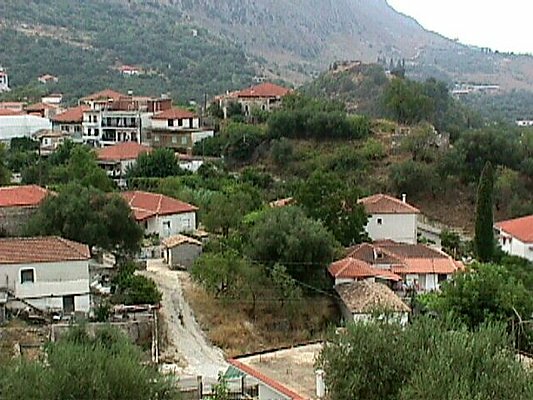 Every year during the months July and August in the villages of the region Diaselo – Ano Kalentini, take place traditional feasts and events. 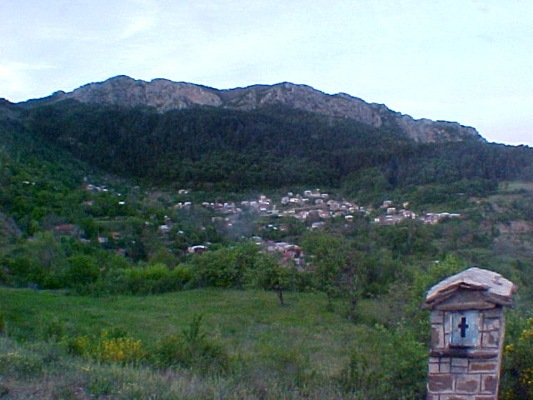 23rd August: Events as a tribute to the memery of the battles of the residents in Souli, who were executed in the Monastery of Seltso 4/23/1804. The last Sunday of May the Prefecture of Thesprotia organises in Souli a tribute to the memory of its fighters, to the memory of the womens’ sacrifice on the mountains of Zalogo and to the blasting of Kougki. 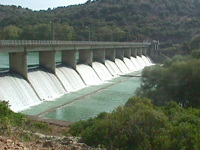 Between other events takes place the revival of the blasting in an impressive real way. 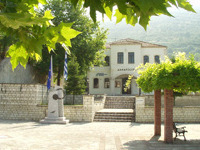 July – August: Cultural events: mind games, painting, sports, plays, cinema movies, music and dance performances, etc. 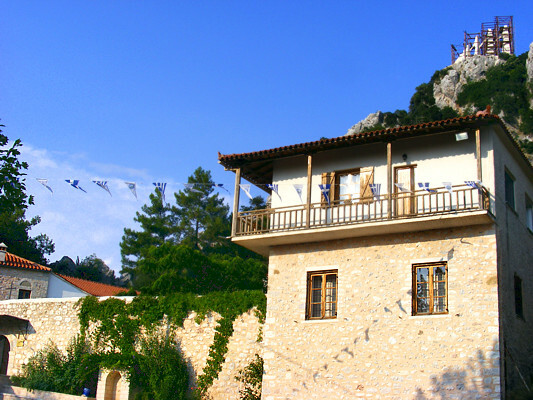 Polyphonic groups from many countries, such as Italy, Romania, Bulgaria etc., take part in the annual Polyphonic Song Festival which takes place every August in Filiates during the summer cultural events of the Municipality. 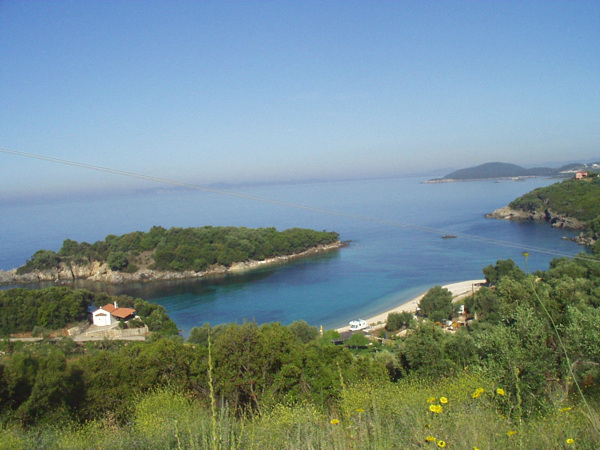 The festival is organized by the Polyphonic Song team “Chaonia” with the suuport of the authorities of Thesprotia. 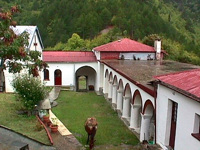 Other events: “Fanos” events, Exhibitions, Woodcarving Exhibitions, Photgraphy Exhibitions etc. 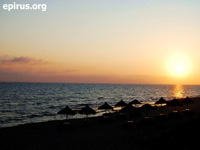 Whole year: Cultural events, National Holidays, Conferences, Workshops etc. 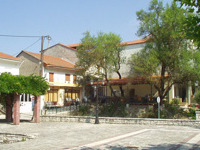 “Pichtia” events: Dance, Folklore, Naturalist etc. 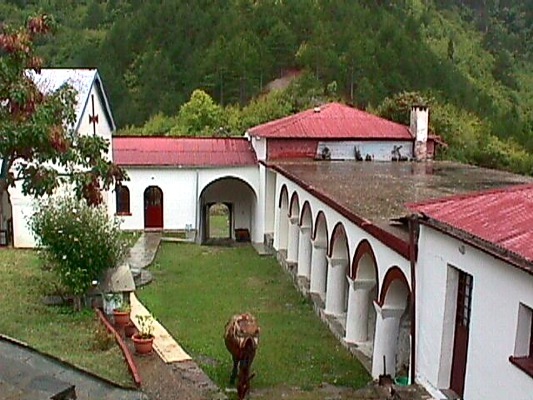 5th August: Pontian prayer in the church of Virgin Mary at Kozyli Monastery (1020 A.D.) at the foothills of Zalogo. 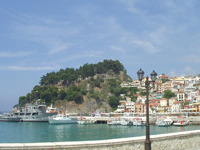 In Parga, this beautiful resort of Ionian Sea take place numerous events every year, especially during the summer. 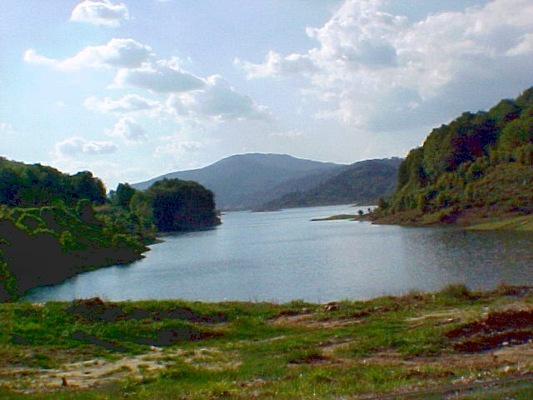 The artificial lake of Aoos was created along with the hydroelectric dam in 1987. 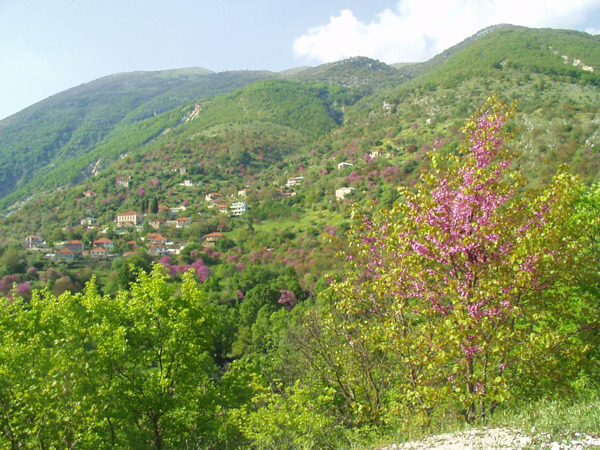 It is located very close Metsovo in the plateau of Politsa, On the foothills of Mavrovounio at an altitude of 1350 m. You can make the lake round by car or by με mountain bike (30 km. 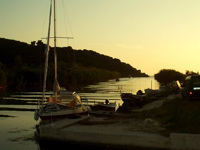 totally), fish or see the rich flora and fauna of the lake as it has been evolved to an important ecosystem.